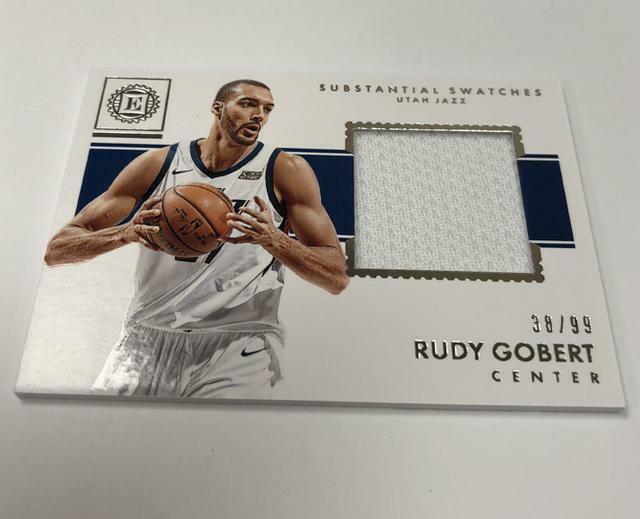 is crossing over to the hardwood. 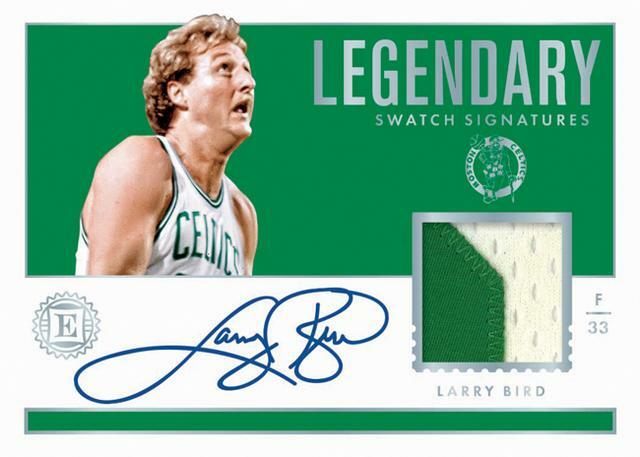 and to the greatest current stars and all-time greats. 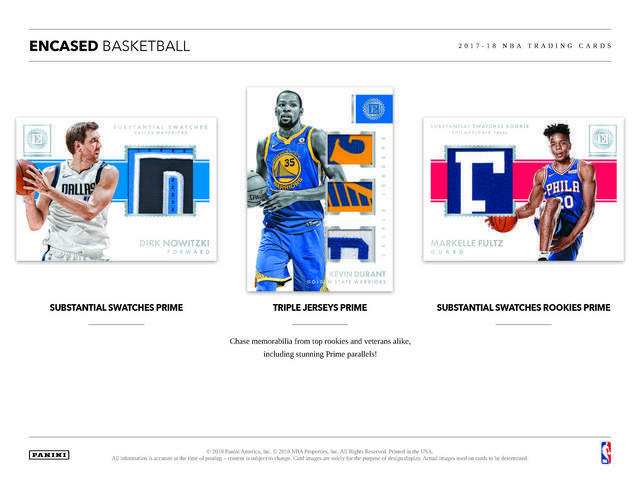 and two memorabilia cards per five-card box. 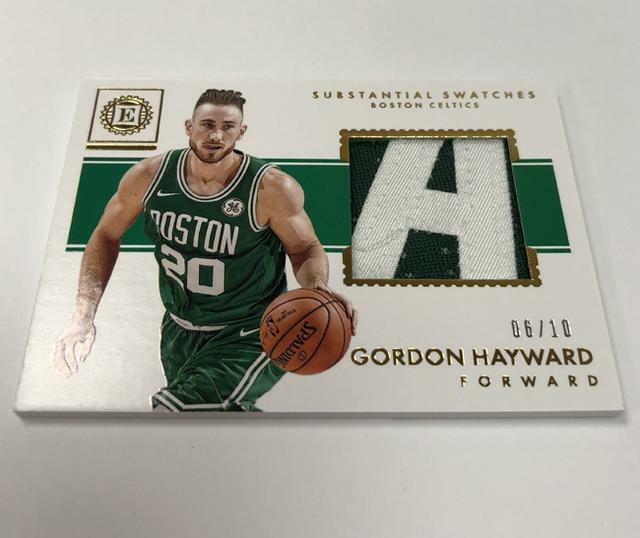 and stars in the Perfect 10 set. 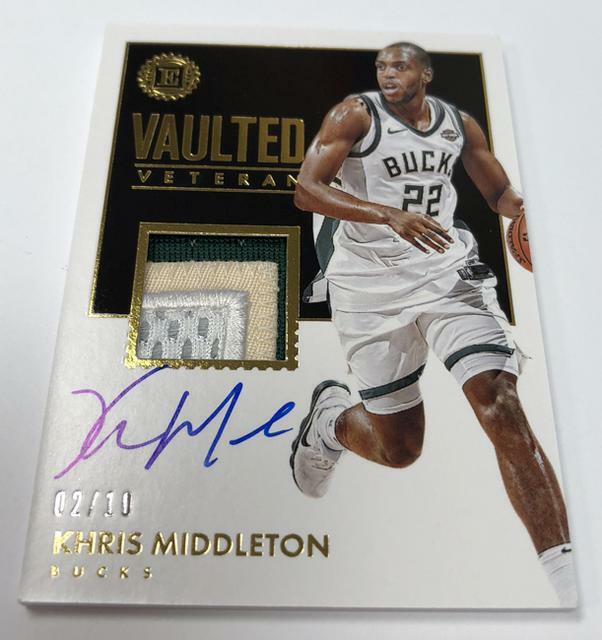 in the Vaulted Veterans Materials Signatures and Legendary Swatches Signatures sets. 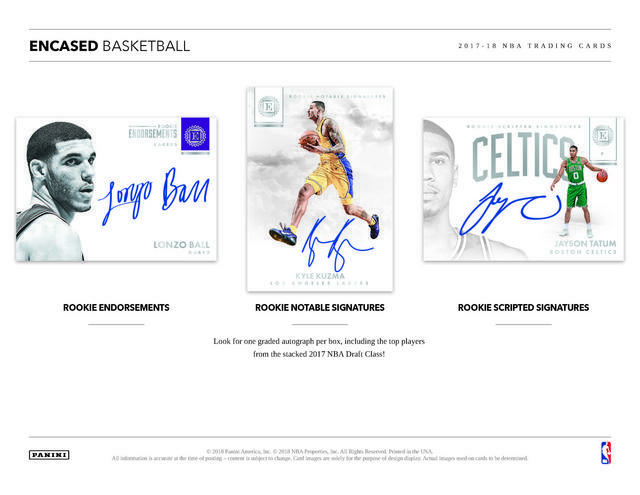 Signed cards come numbered to 99 copies or less. 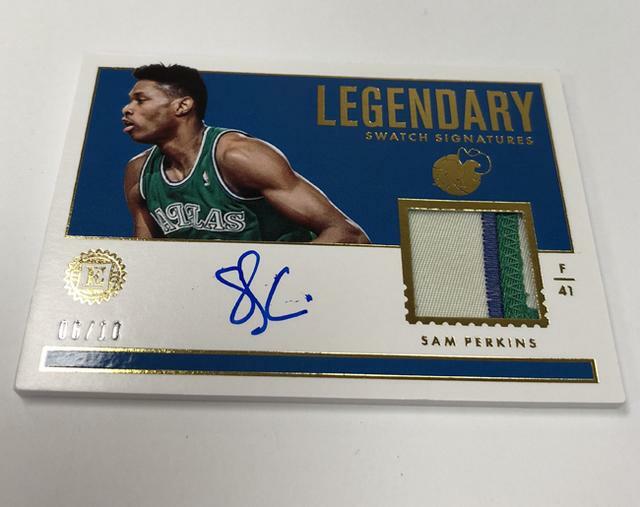 and Legendary Swatches Signatures sets. 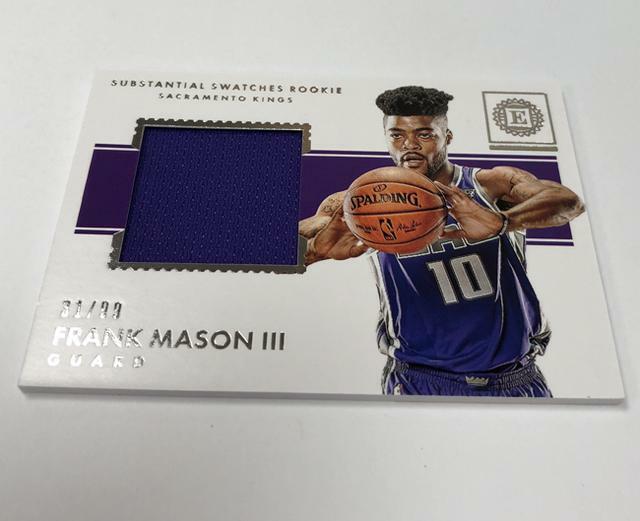 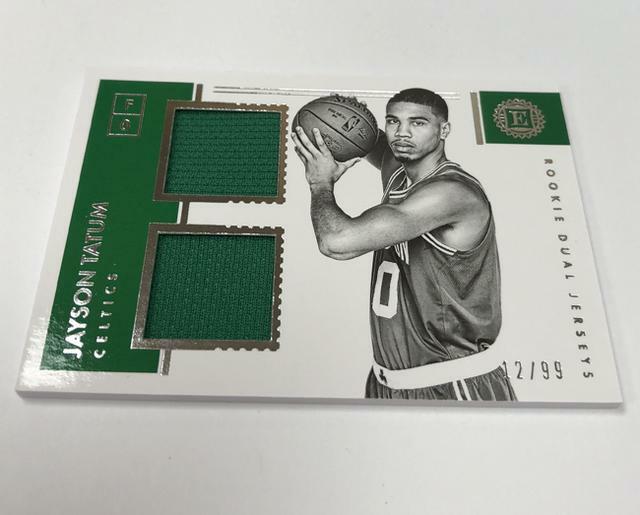 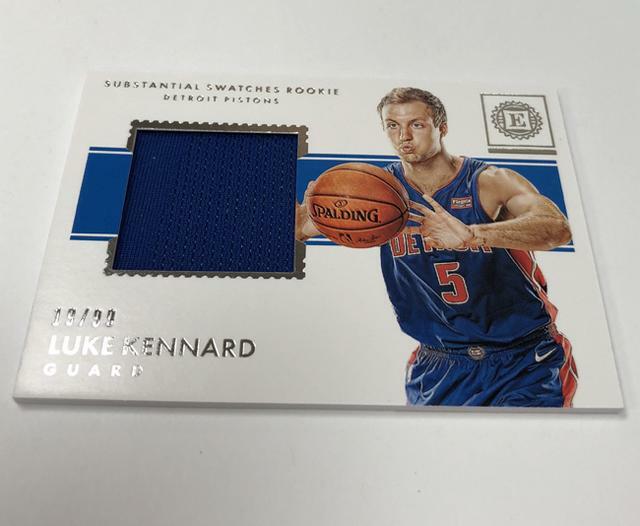 and pull jumbo memorabilia cards in Substantial Swatches and Substantial Swatches Rookies. 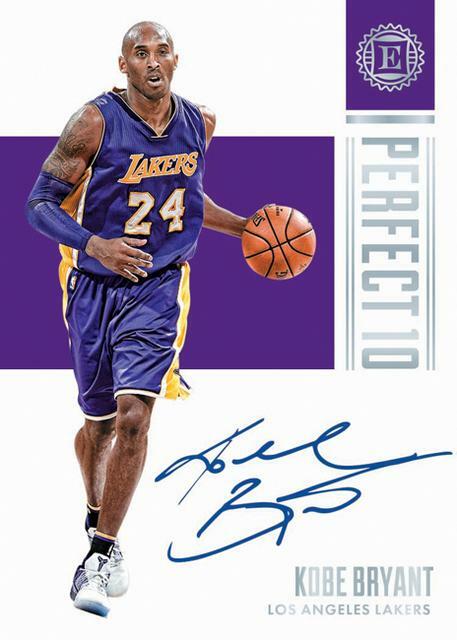 will deliver two autographs (including one graded) and two memorabilia cards. 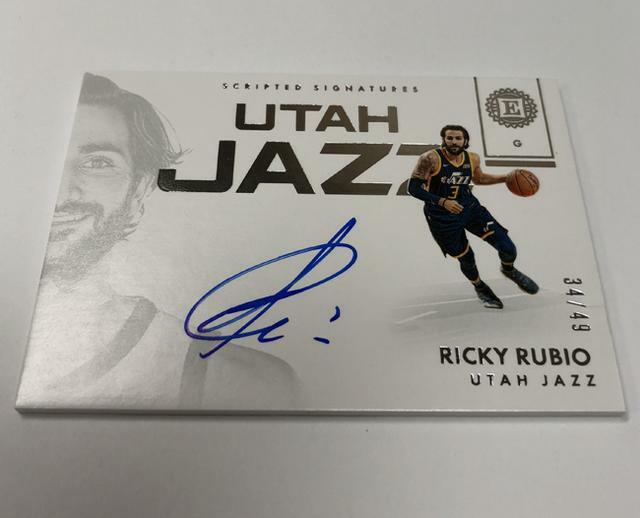 All autographs will be numbered to 99 or less. 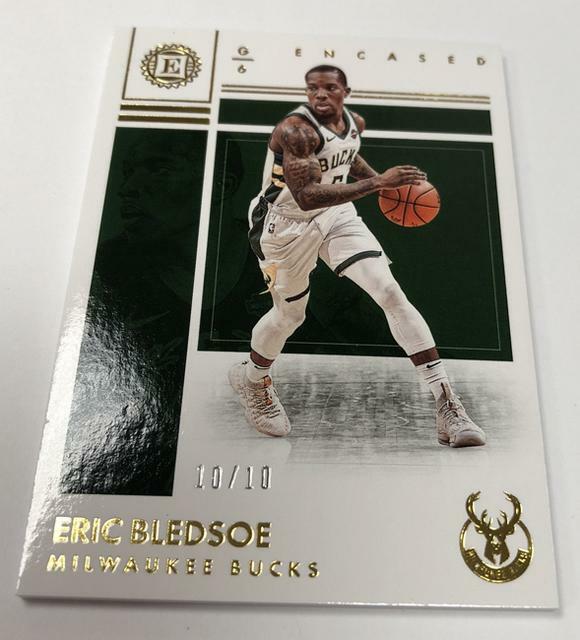 The highlights of Encased’s NBA debut will be many and include . 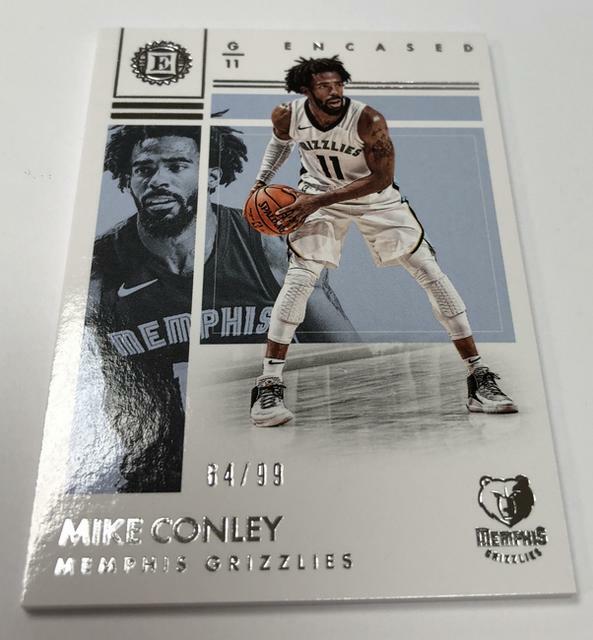 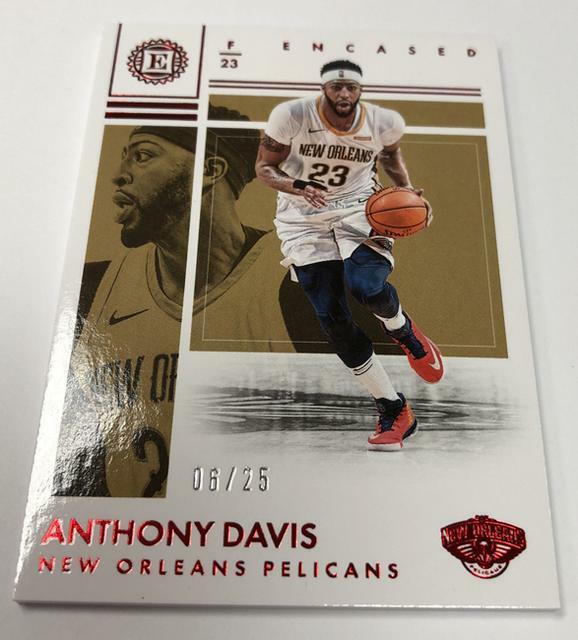 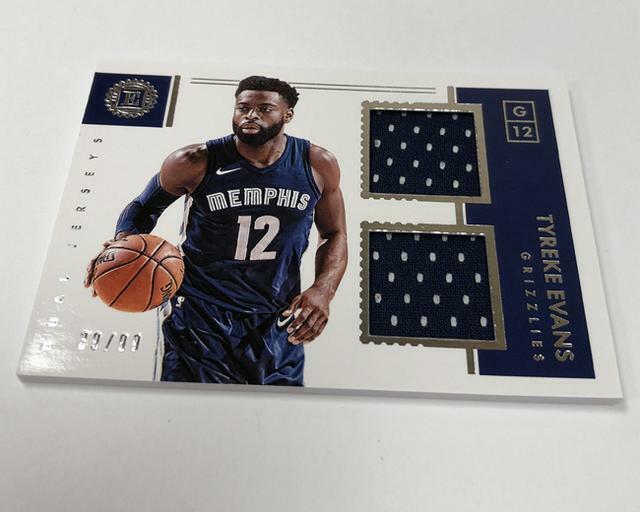 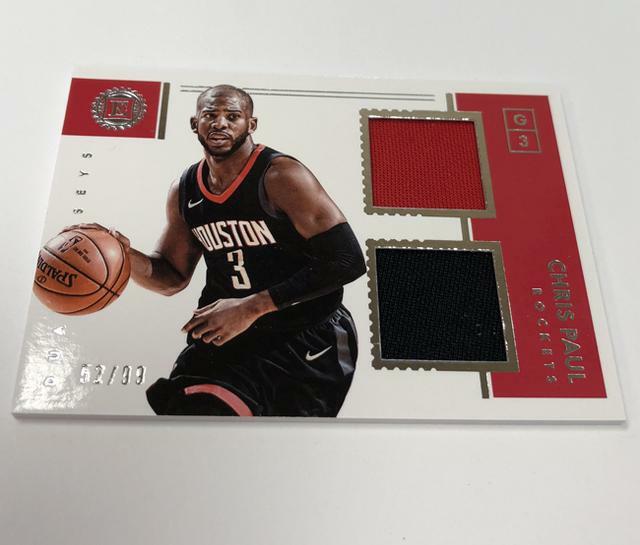 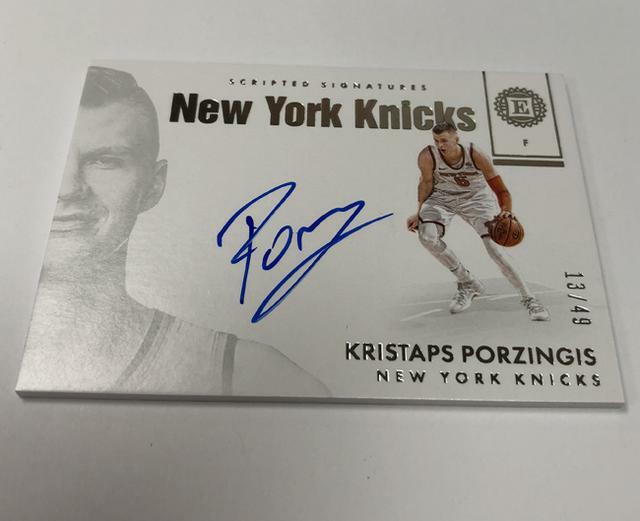 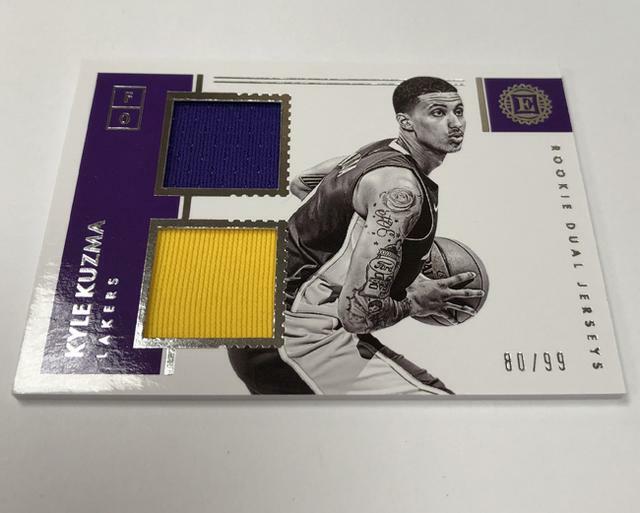 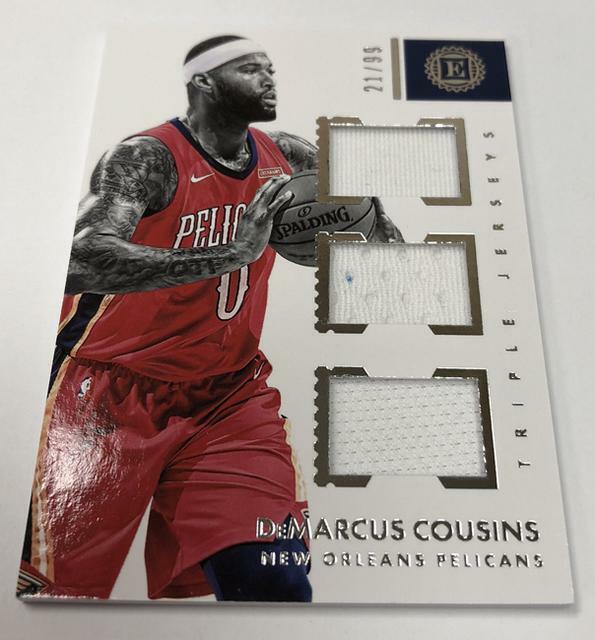 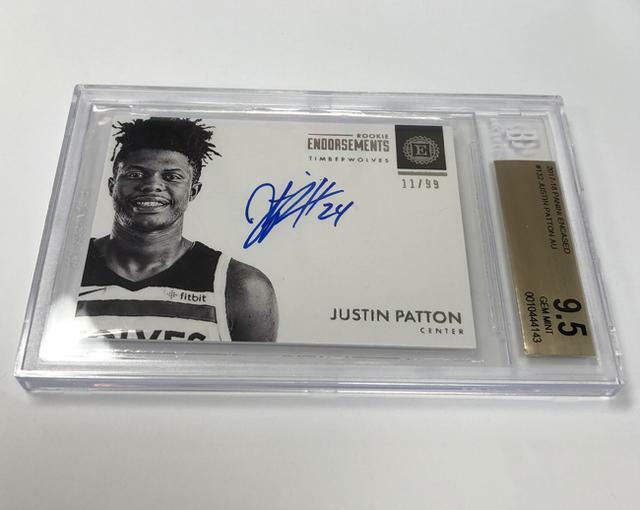 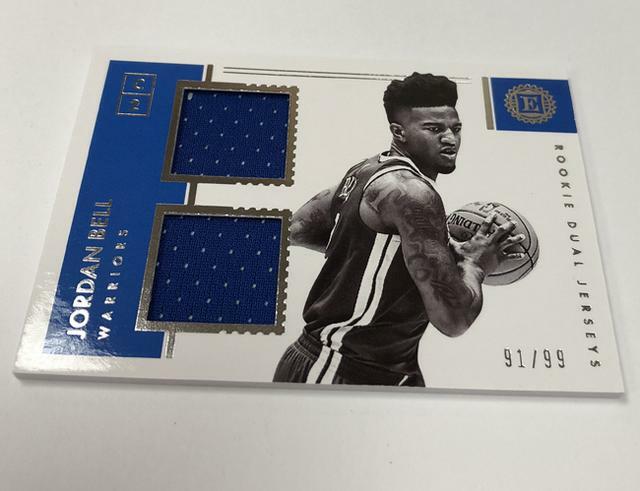 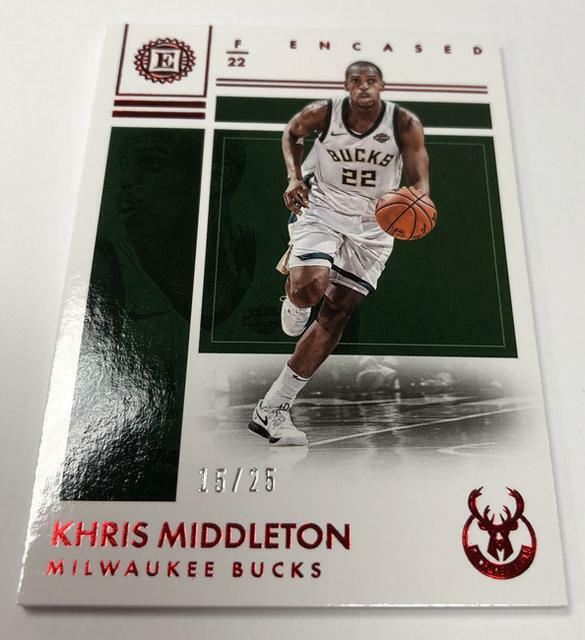 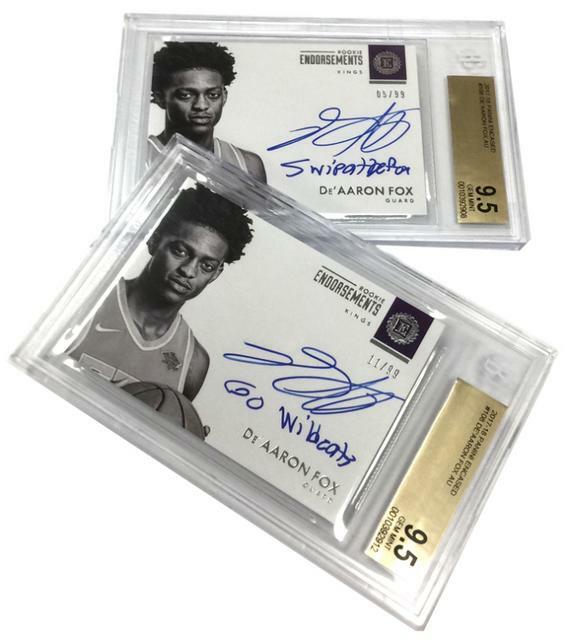 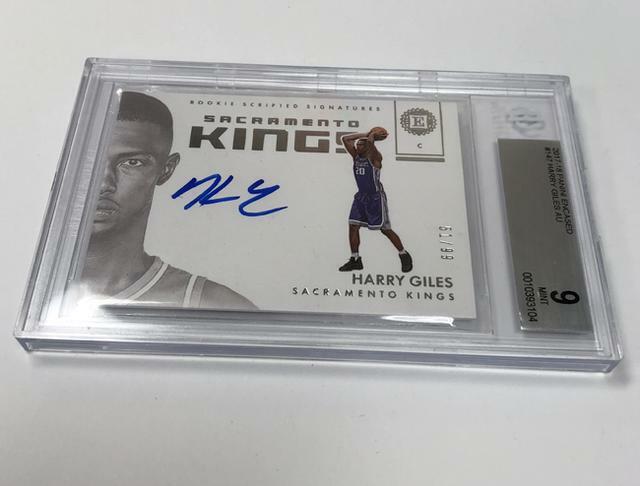 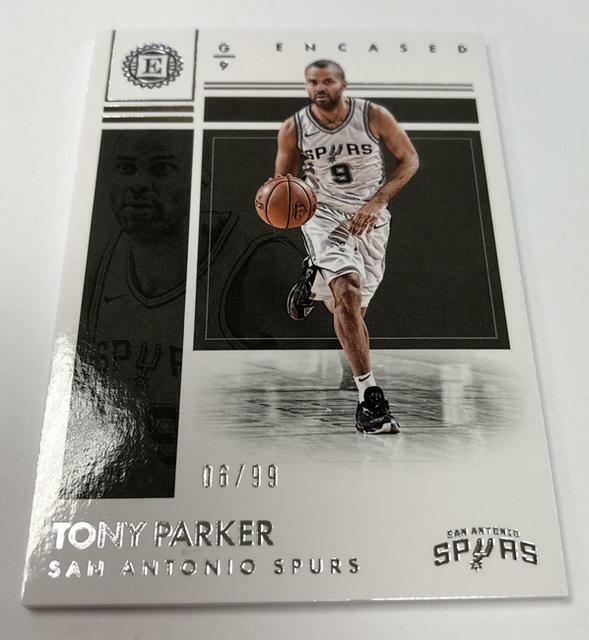 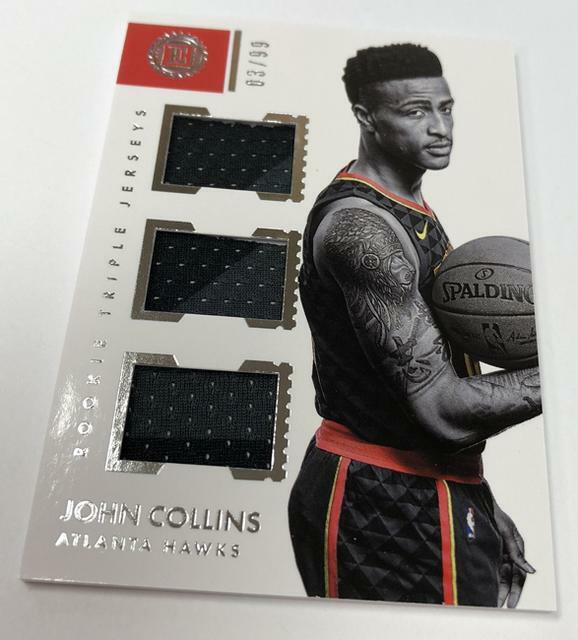 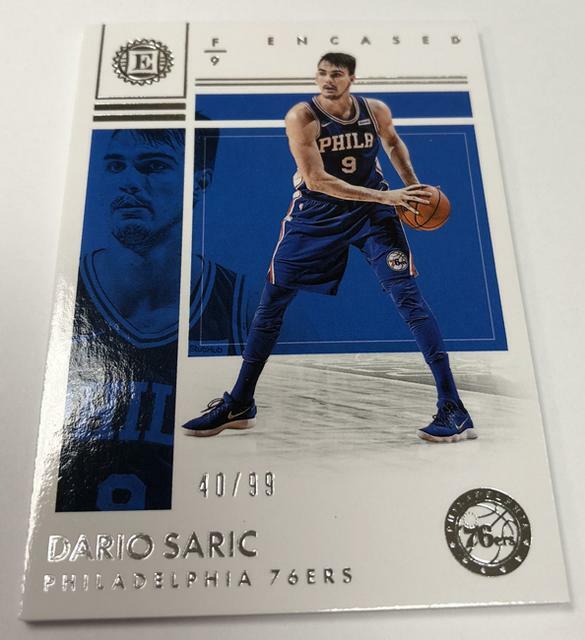 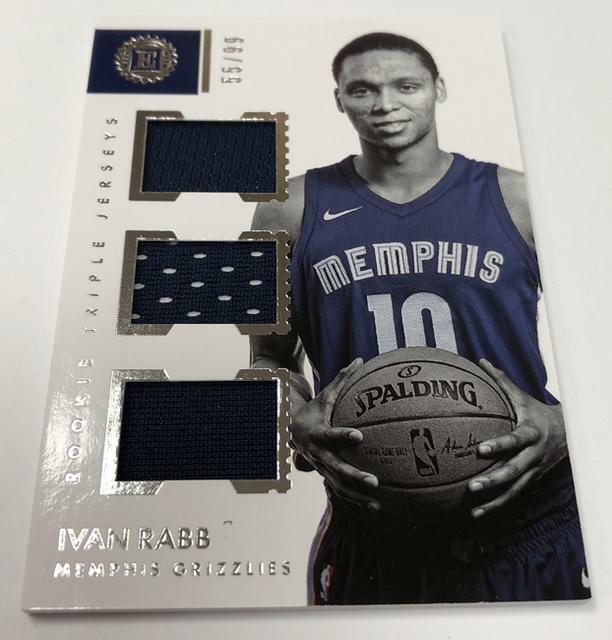 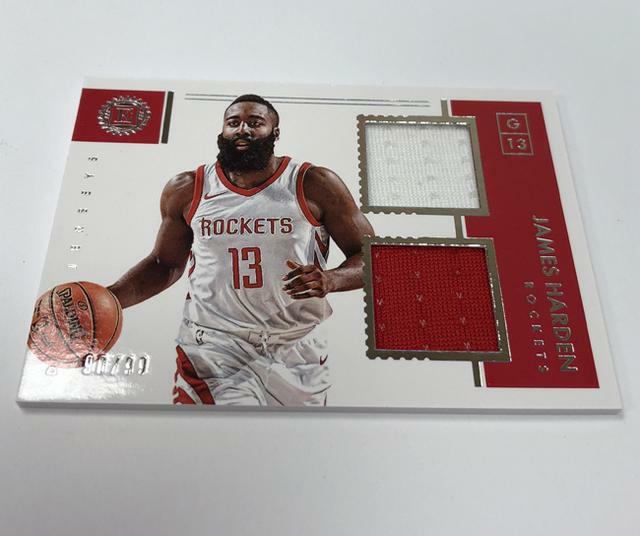 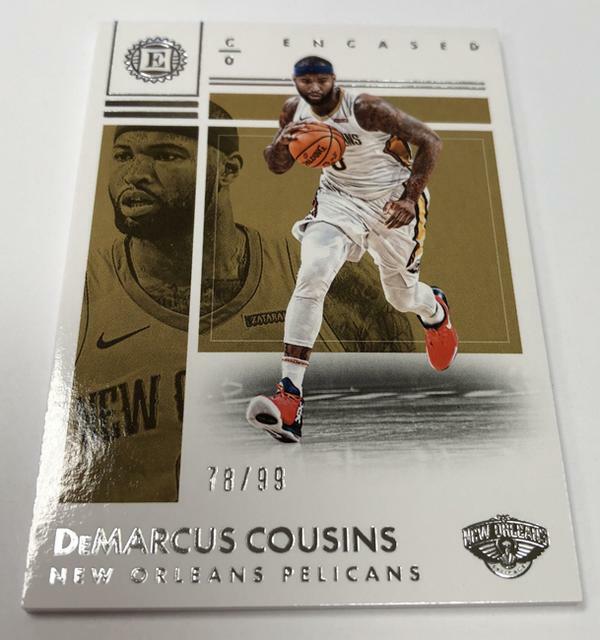 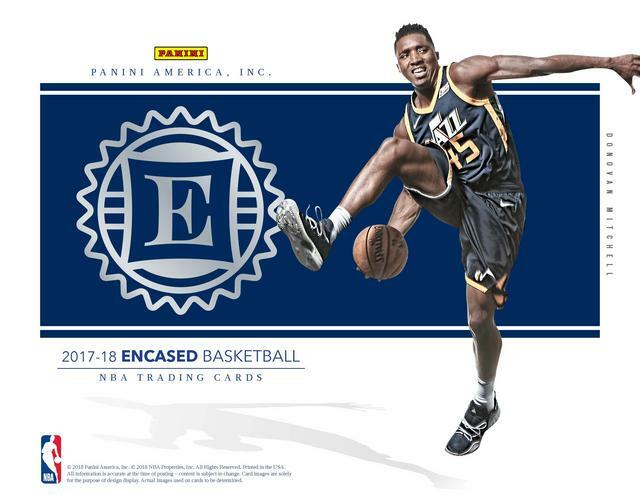 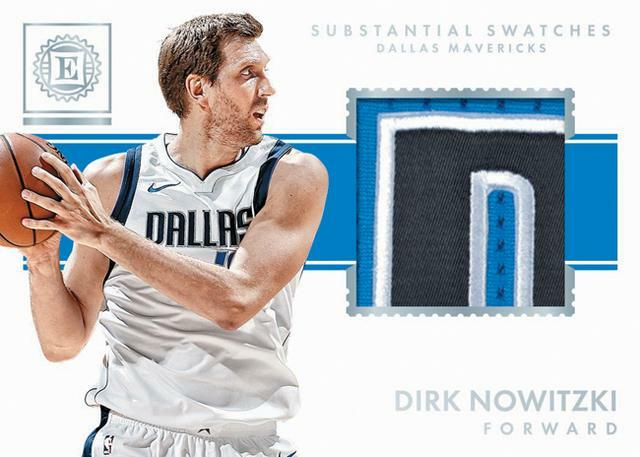 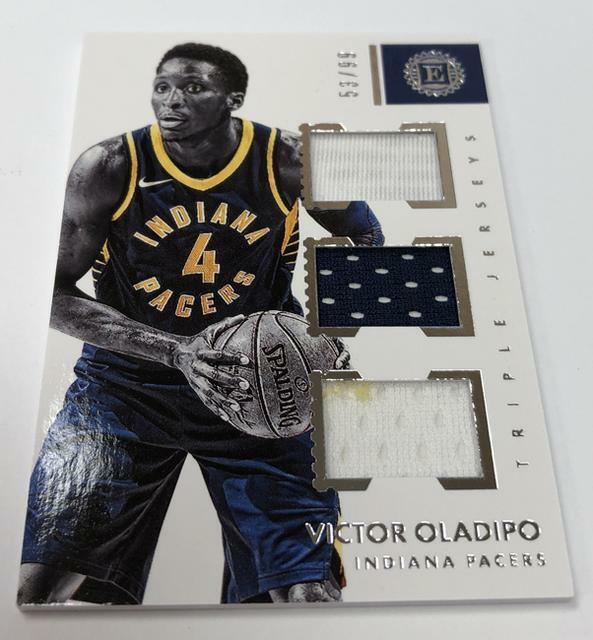 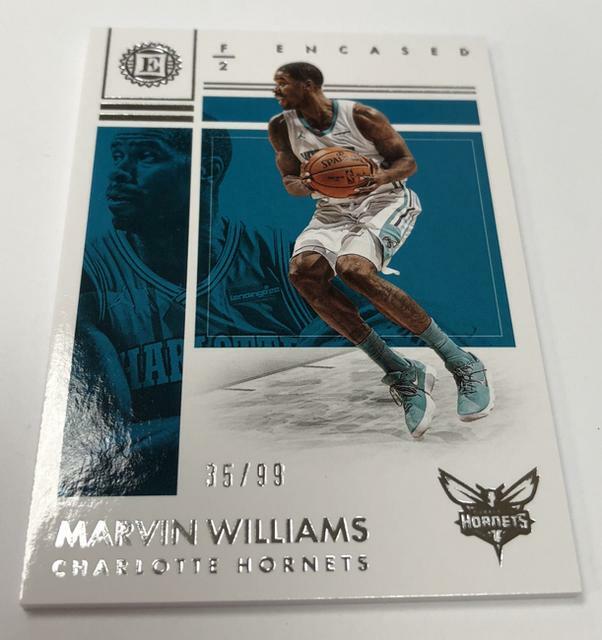 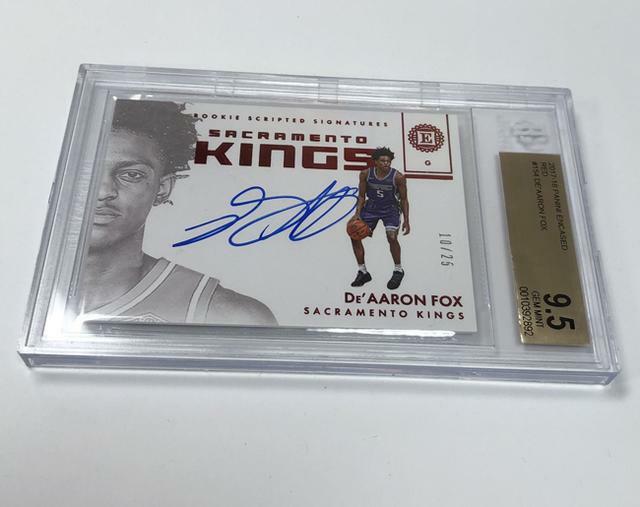 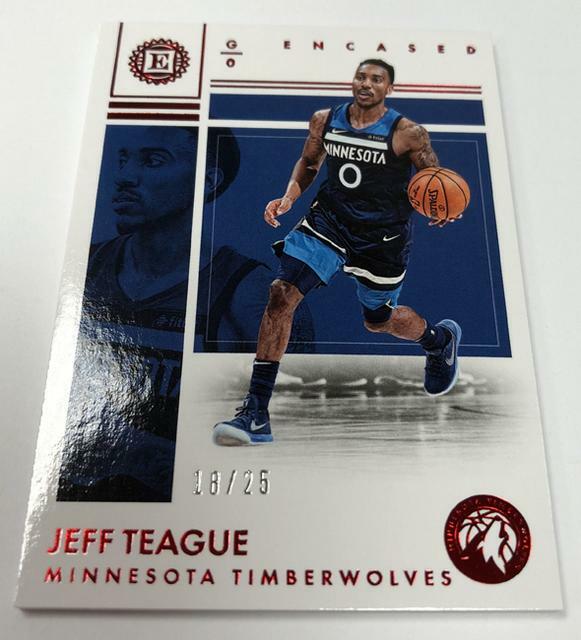 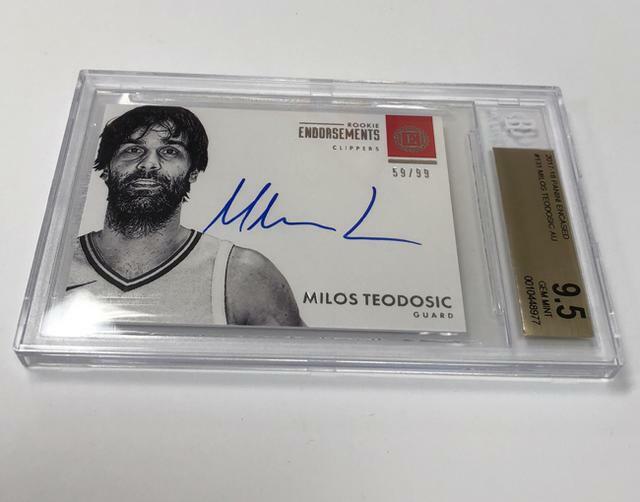 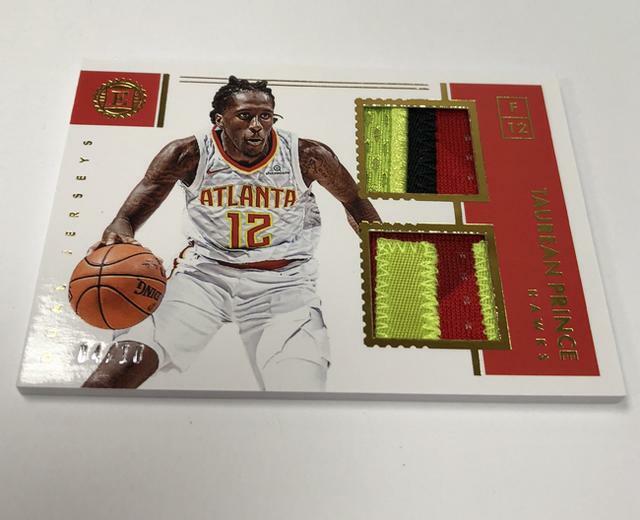 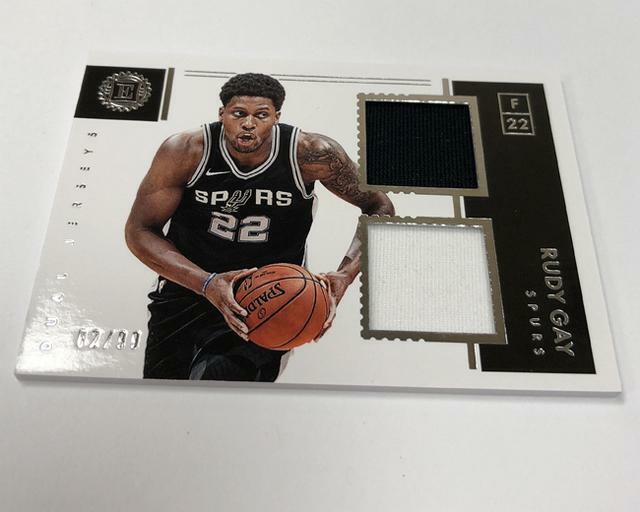 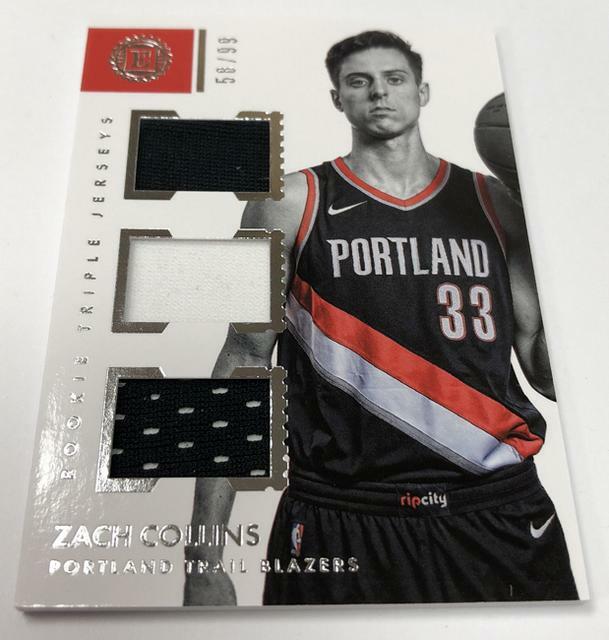 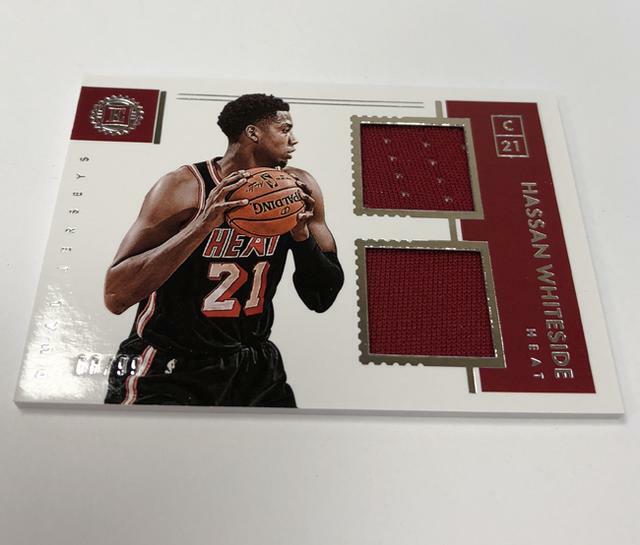 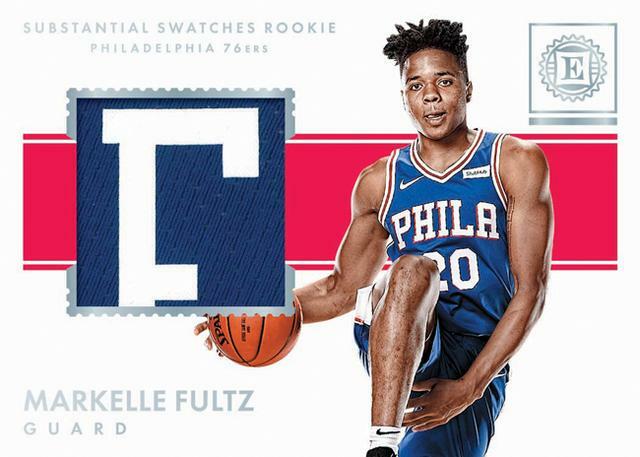 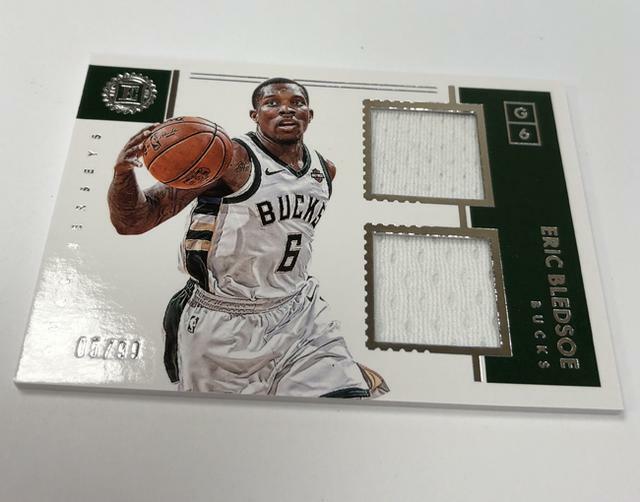 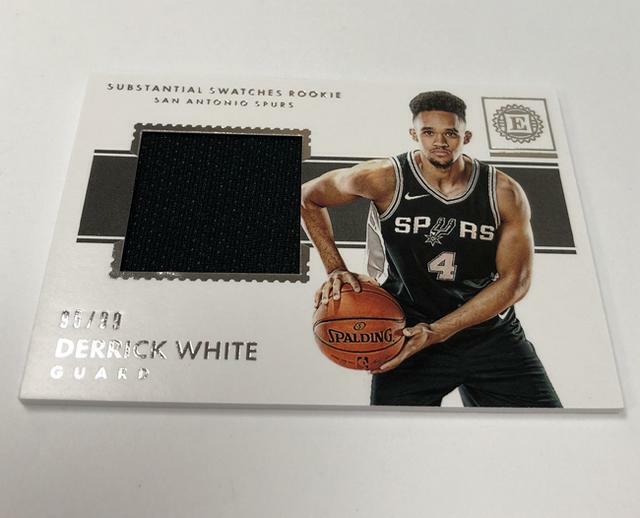 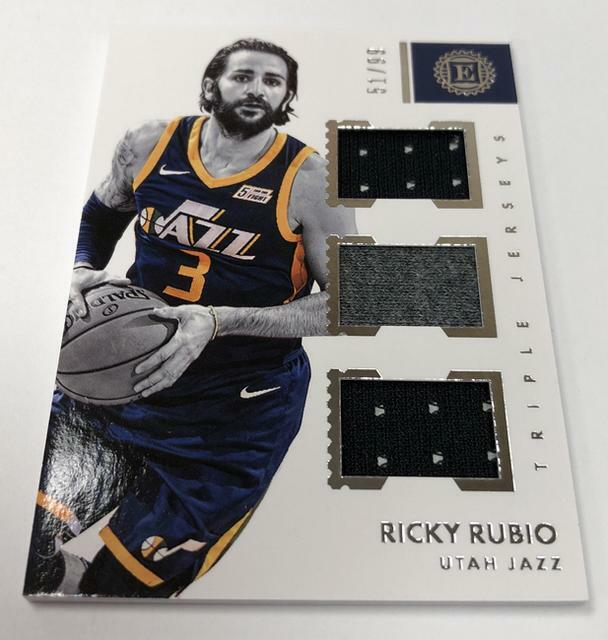 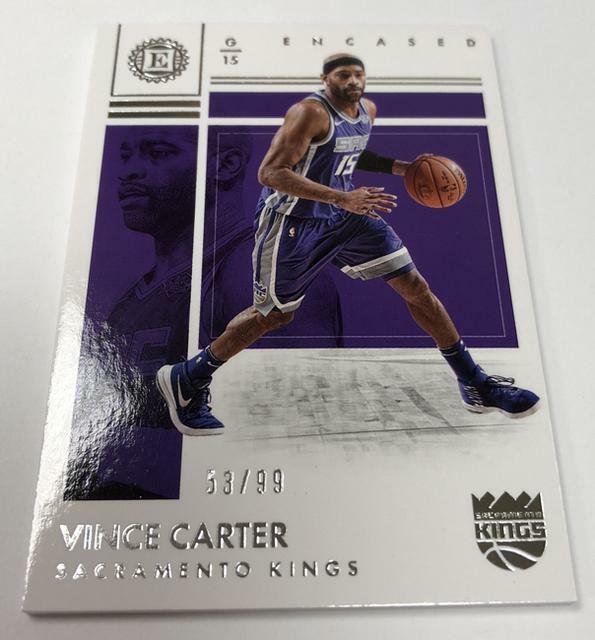 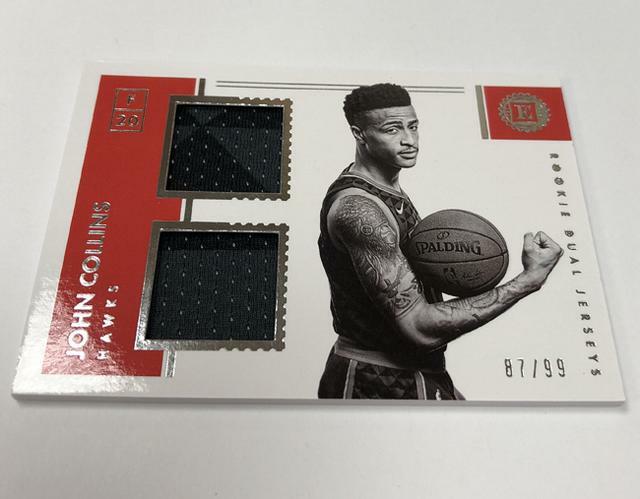 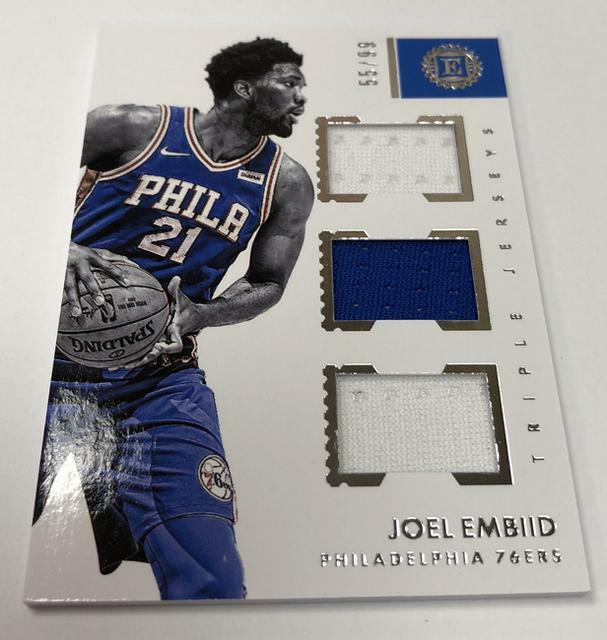 . .
2017-18 Panini Encased brings the premium cardboard stylings to the NBA. 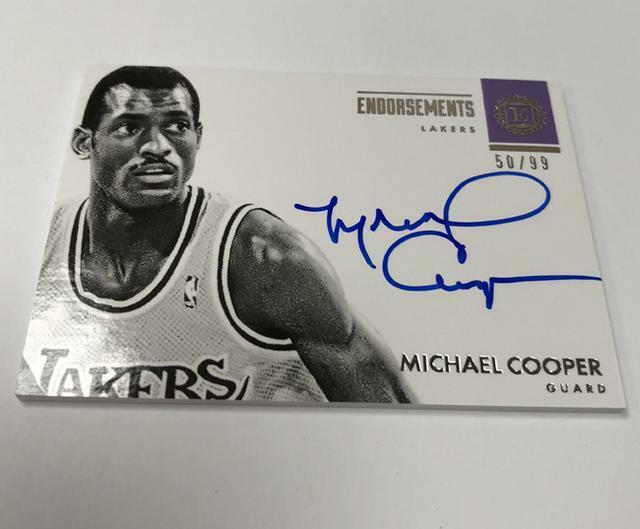 and one of the signed cards is professionally graded. 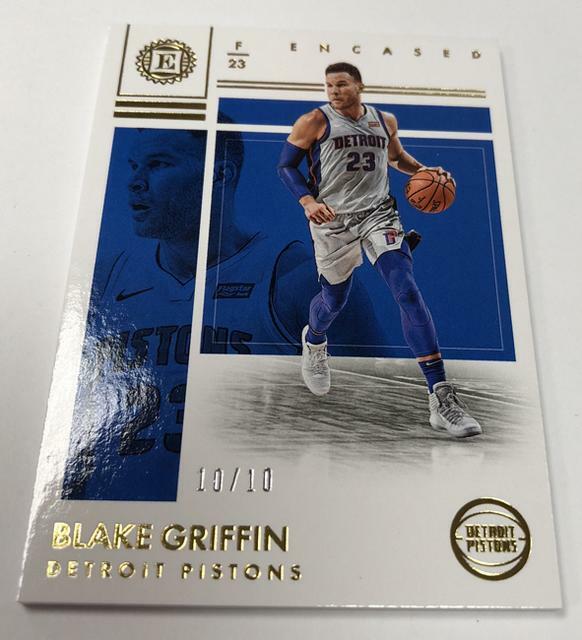 it should be a base card. 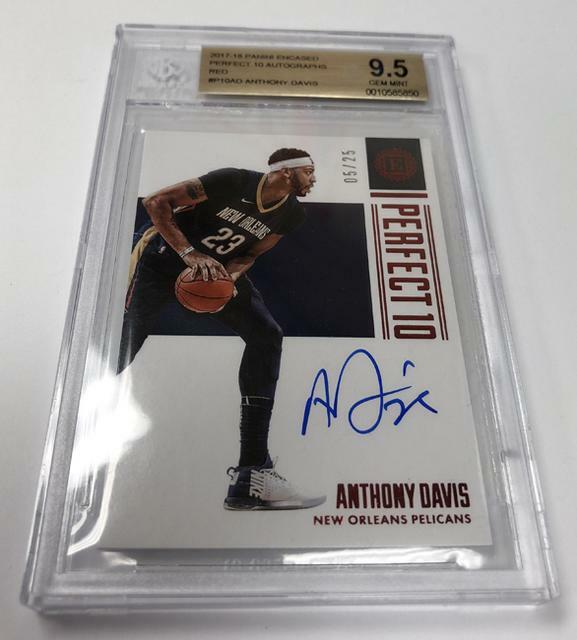 and rare Perfect 10 graded cards. 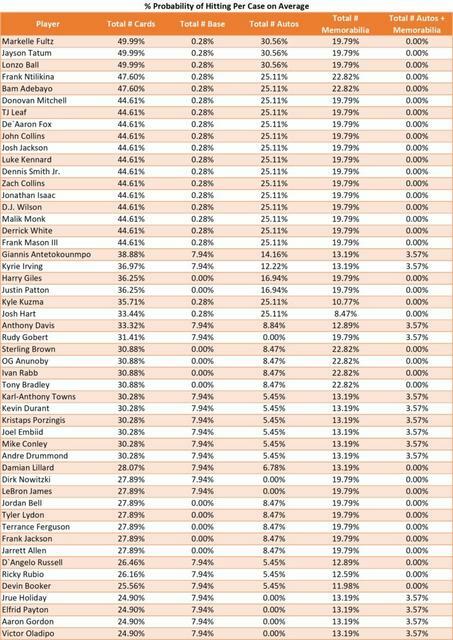 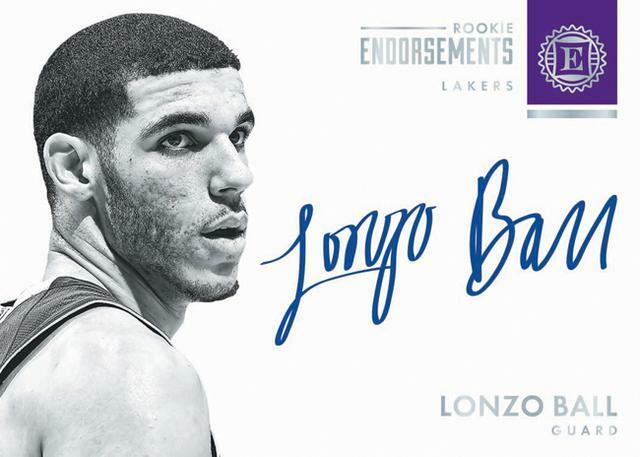 by the game’s top rookies and veterans. 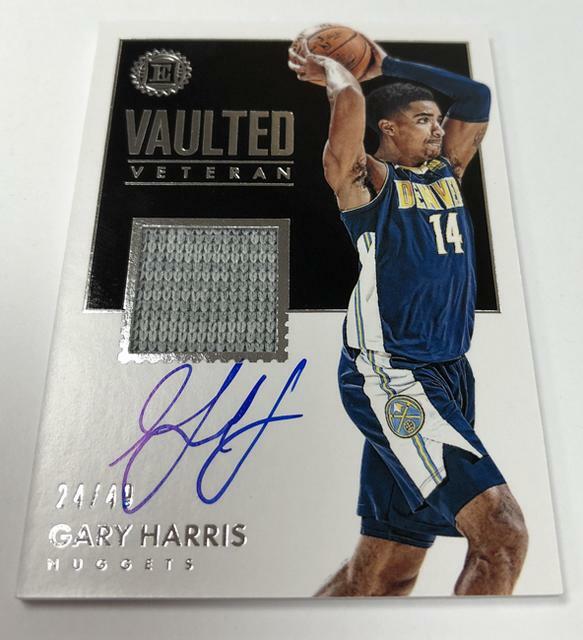 in Vaulted Veterans Materials Signatures and Legendary Swatches Signatures. 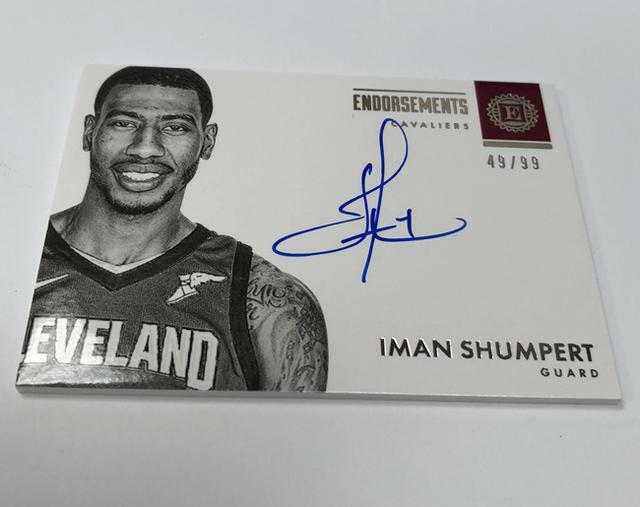 with signatures that combine to average two per box. 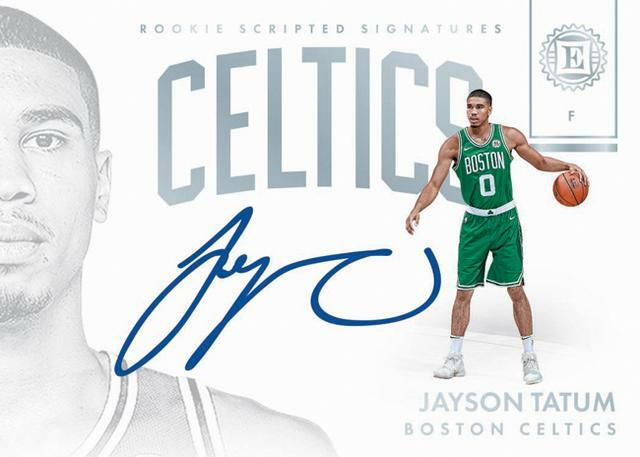 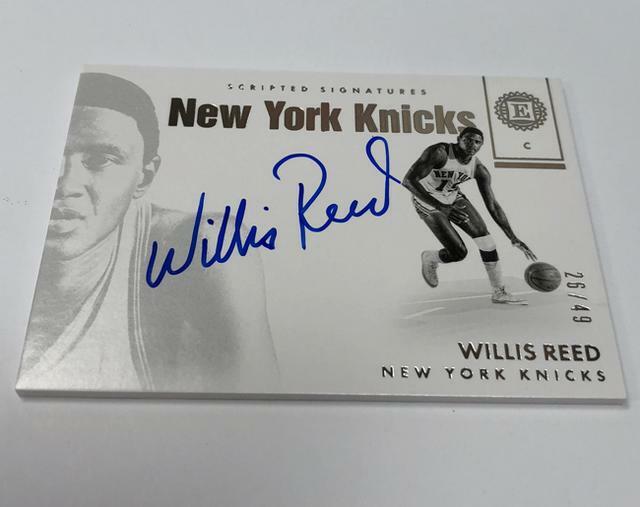 Rookie Notable Signatures and Rookie Scripted Signatures. 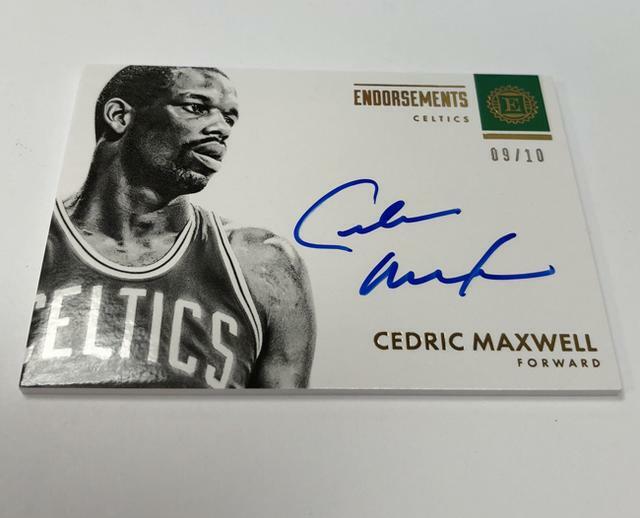 Vaulted Veterans Material Signatures, and the graded Perfect 10. 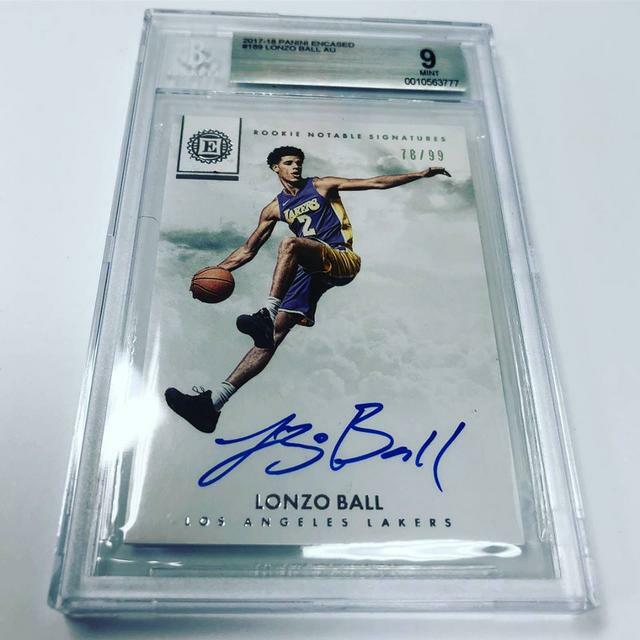 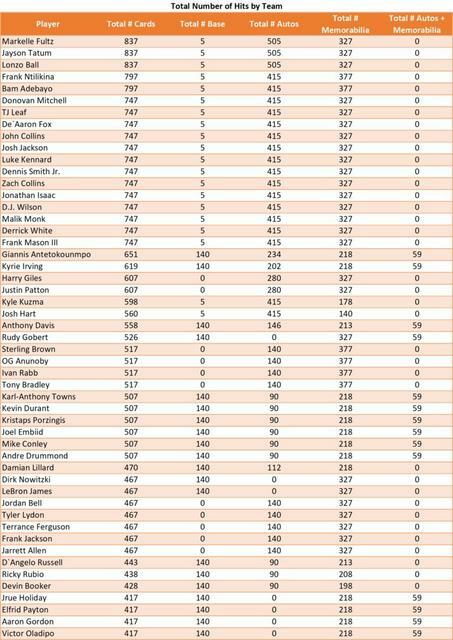 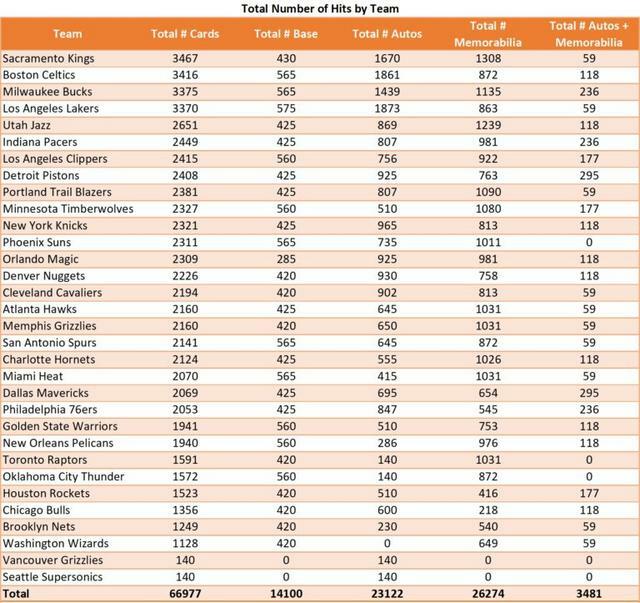 Look for Lonzo Ball & Kobe Bryant! 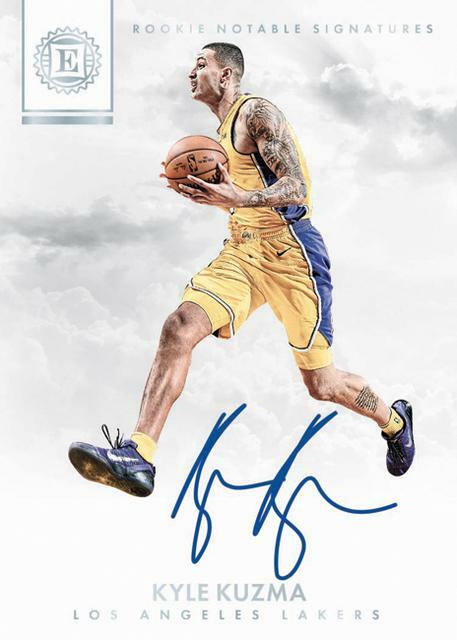 of stunning autograph and memorabilia content! 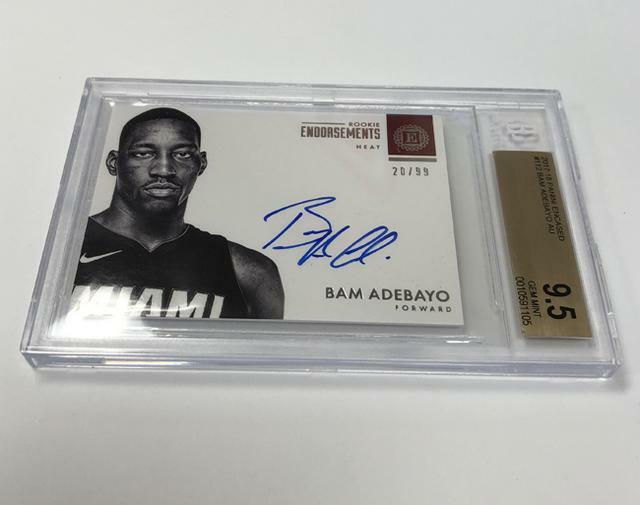 including one graded autograph card! 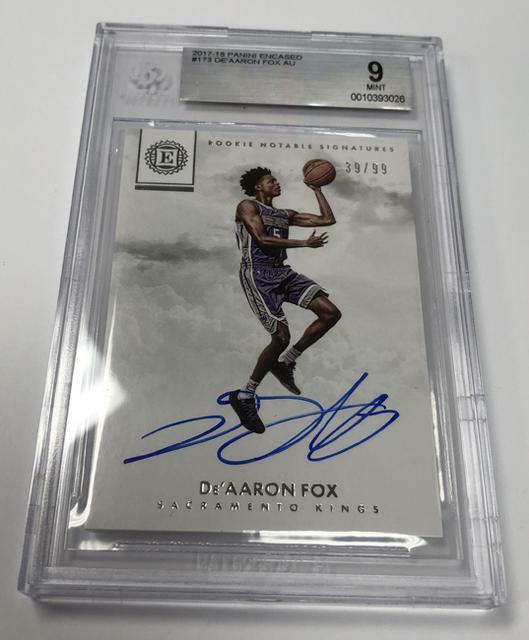 all sequentially #’d/99 or less! 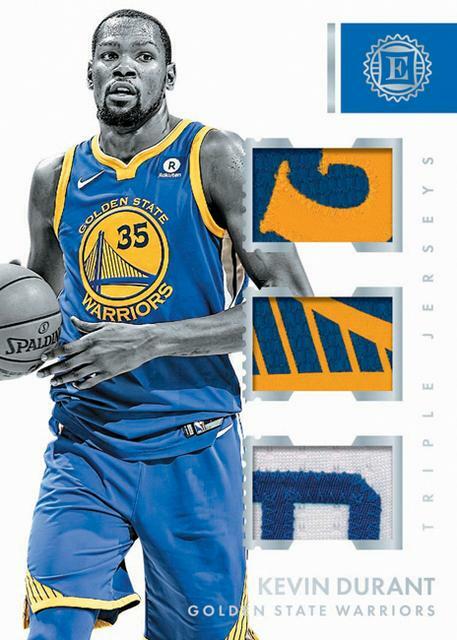 and the multi-piece Triple Jerseys. 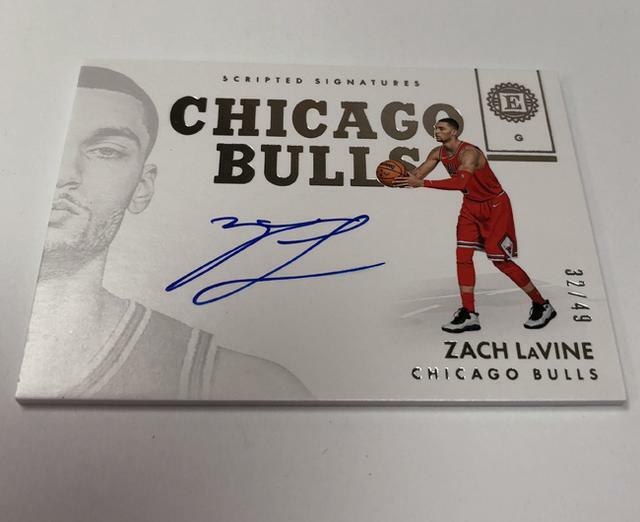 These all have Prime parallels, as well. 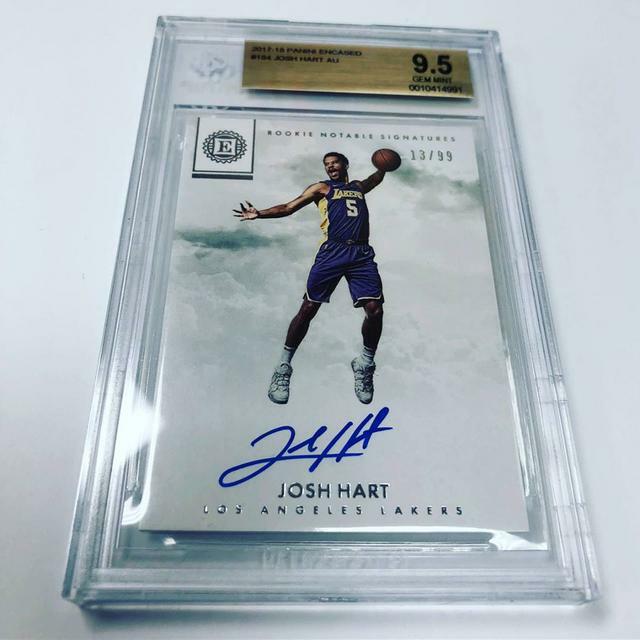 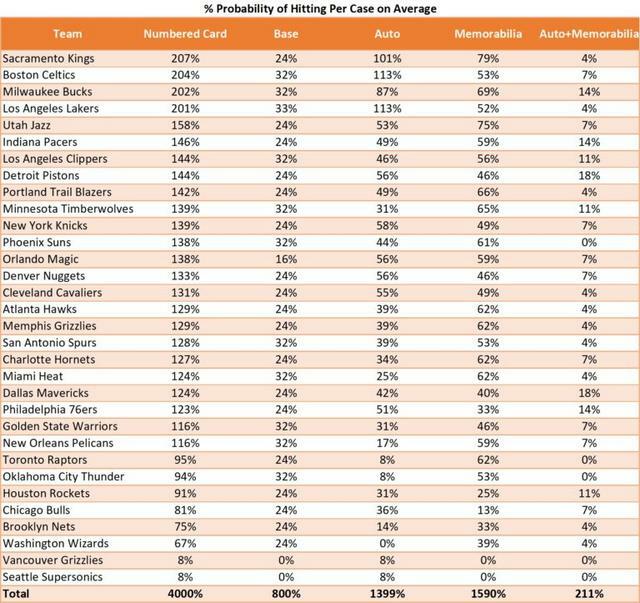 will make its NBA debut during the upcoming playoffs. 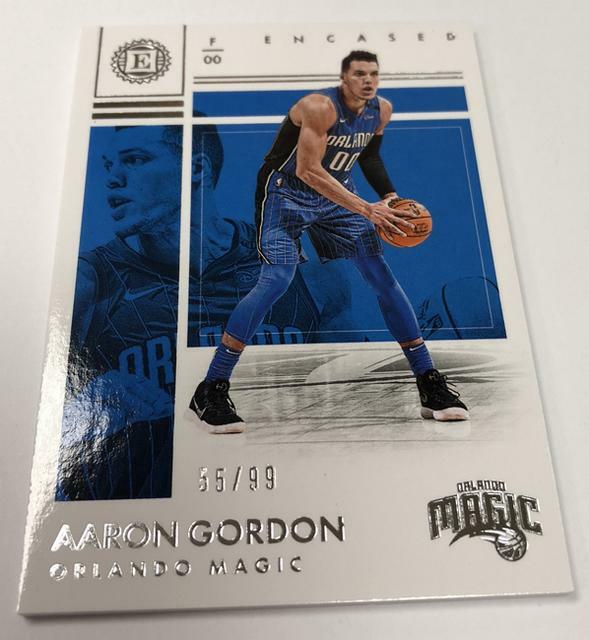 in every five-pack box will already be graded. 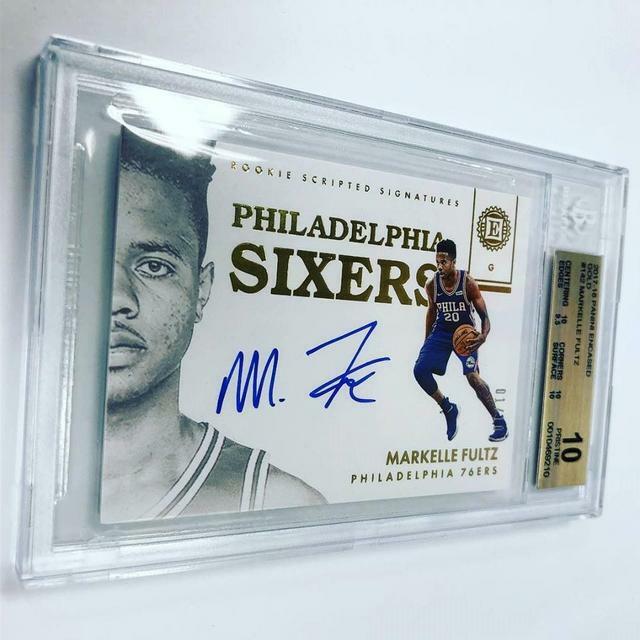 joined by a pair of memorabilia cards and one additional card. 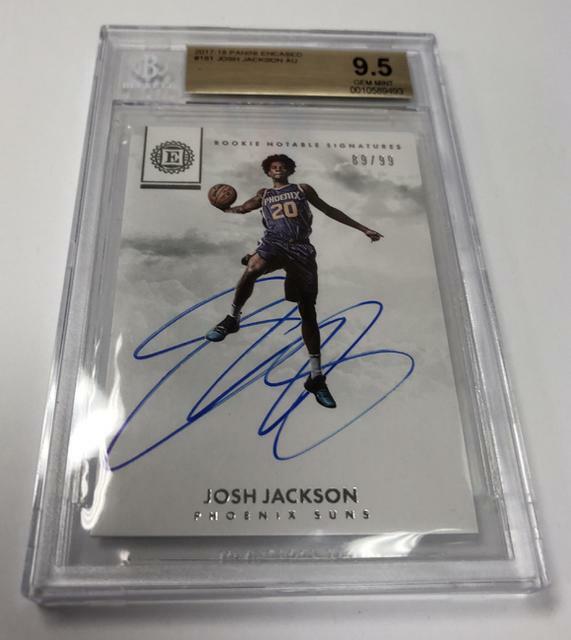 and present that have been graded 10.
and carry a memorabilia piece and an autograph. 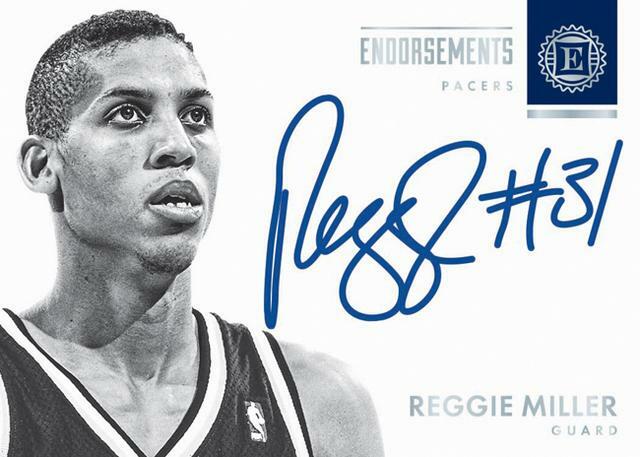 while Endorsements pays homage to some past greats including Reggie Miller. 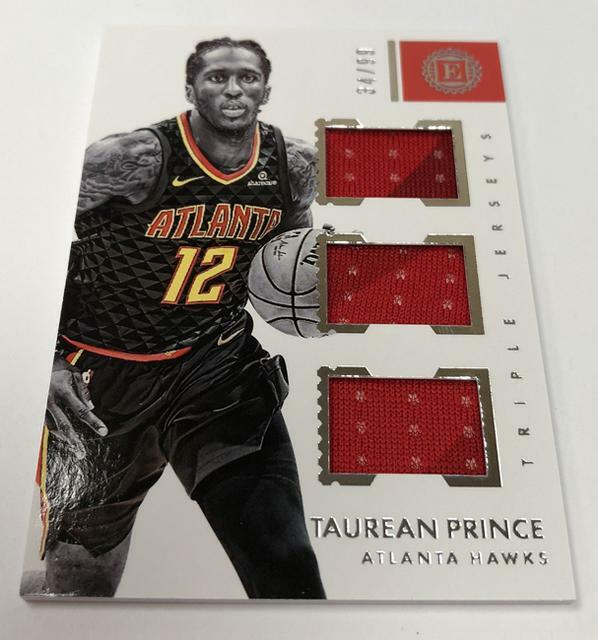 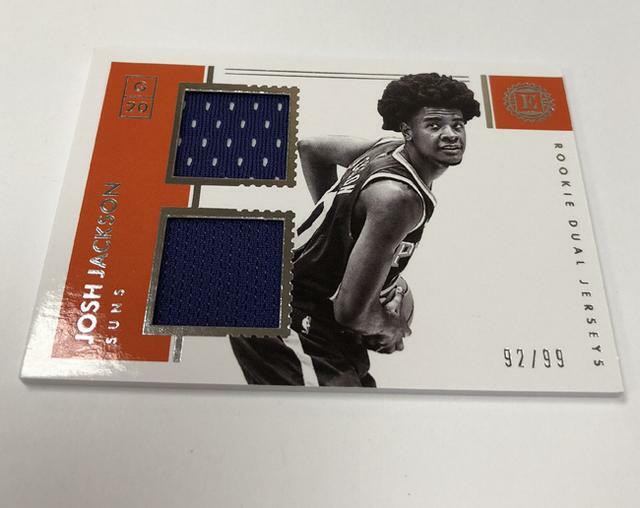 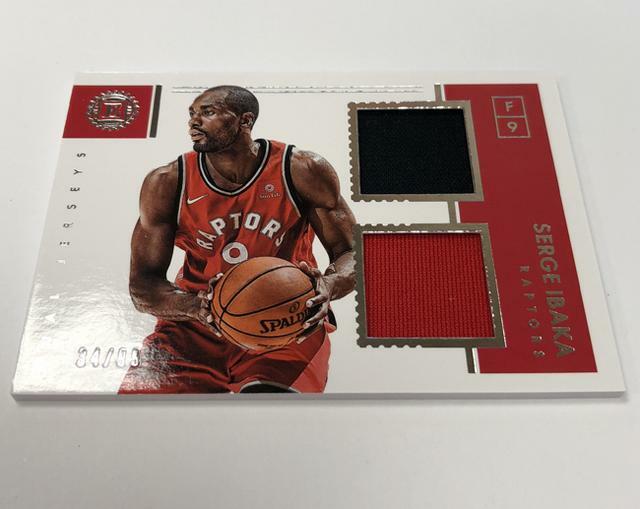 Triple Jerseys Prime will be a relic subset featuring three memorabilia pieces. 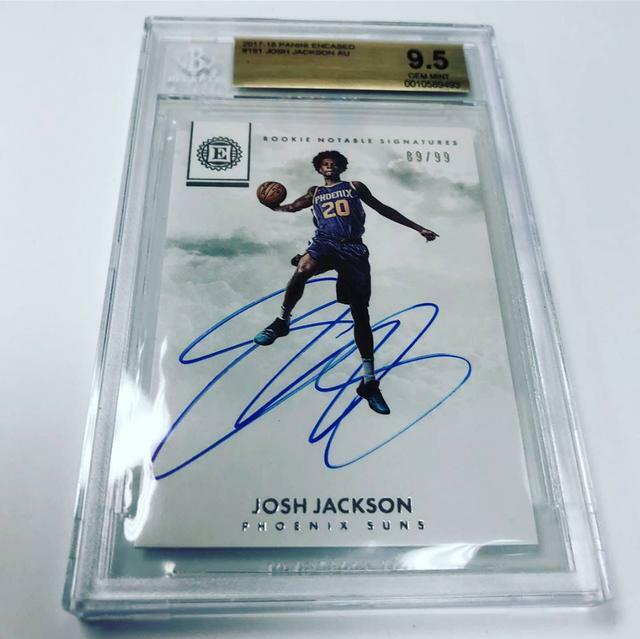 from both veterans and rookies. 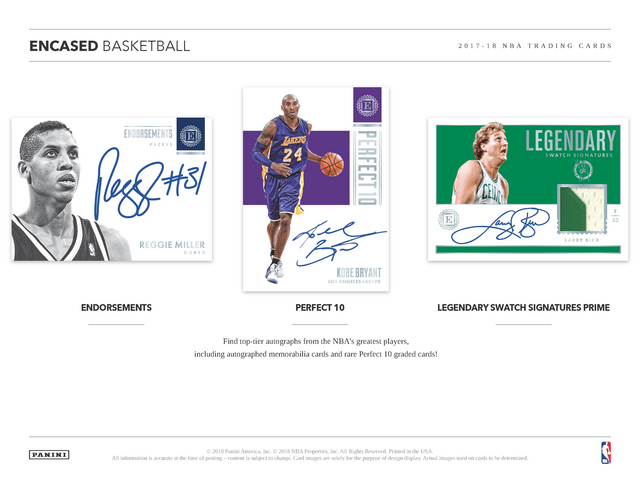 with "a plethora of stunning autograph and memorabilia content." 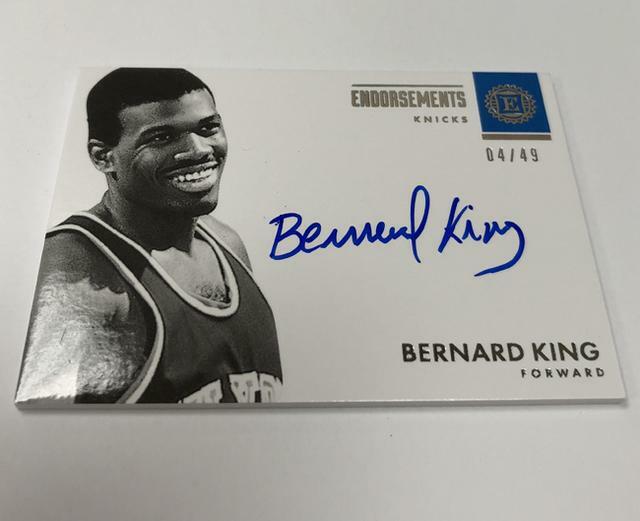 and will include veterans, rookies and retired stars. 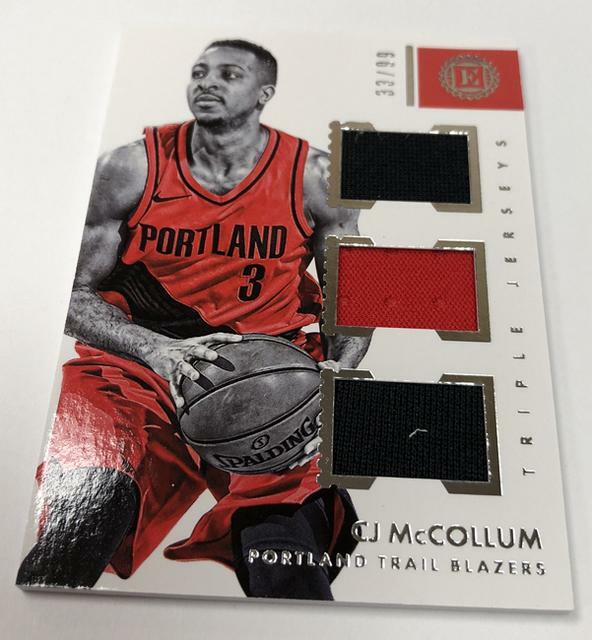 and triple memorabilia cards in the Triple Jersey Prime set. 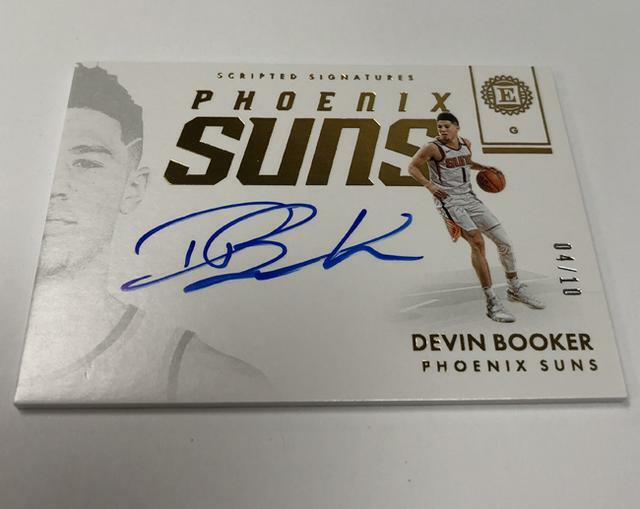 Boxes will carry a suggested retail price of $200. 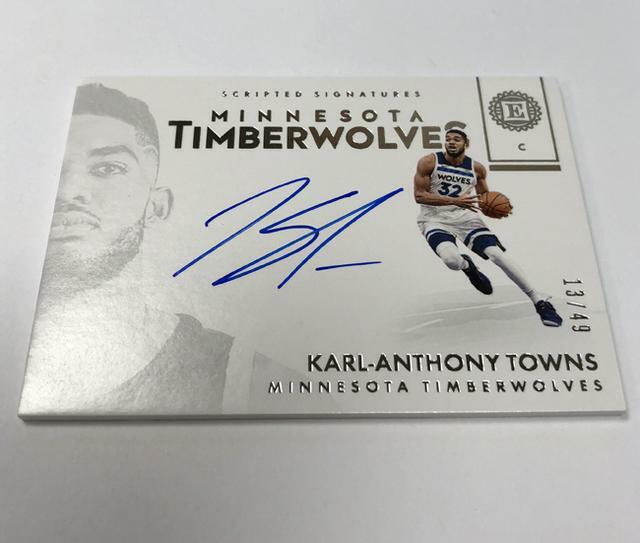 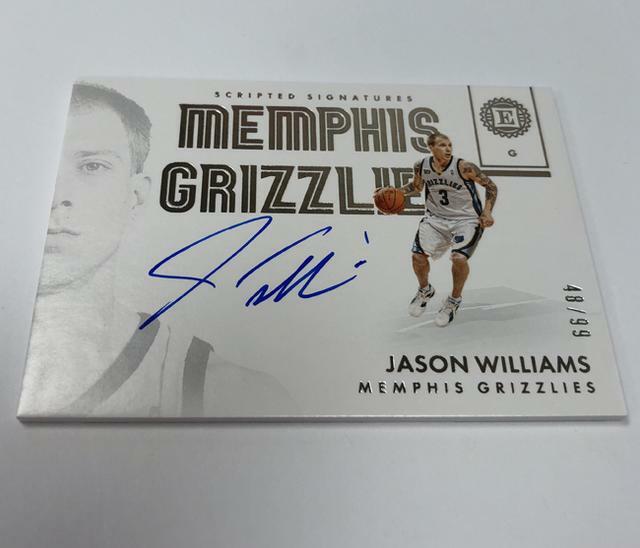 - 2 Autographed Cards including 1 Graded Autographed Card in Every Box! 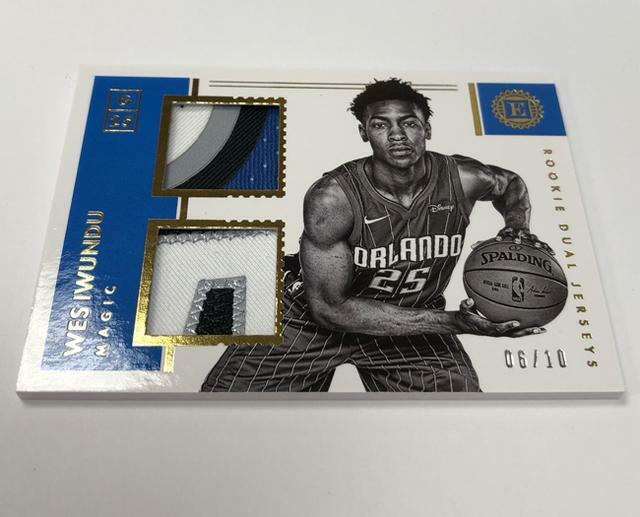 including the top players from the stacked 2017 NBA Draft Class! 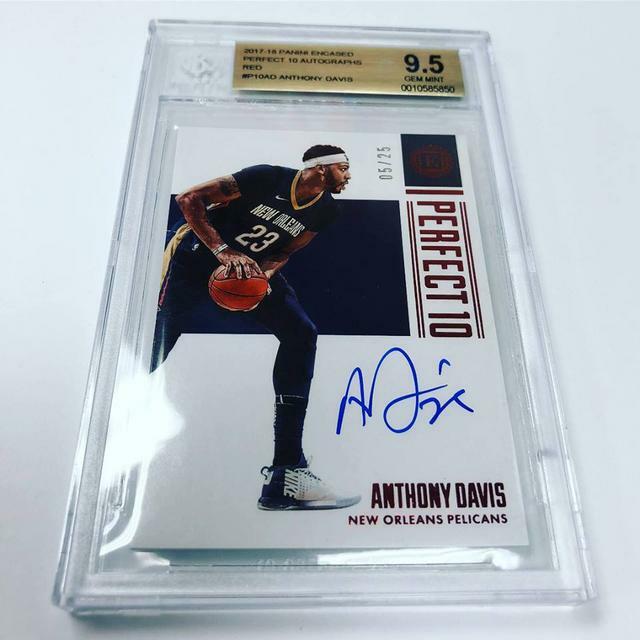 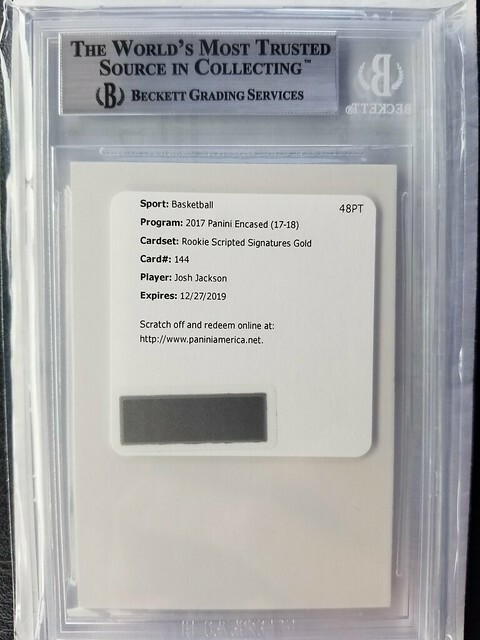 memorabilia cards and RARE Perfect 10 graded cards! 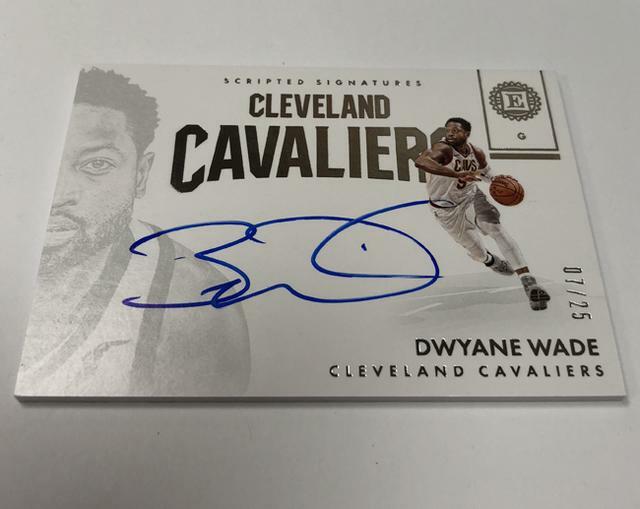 - ALL Autographs #’d to 99 or less! 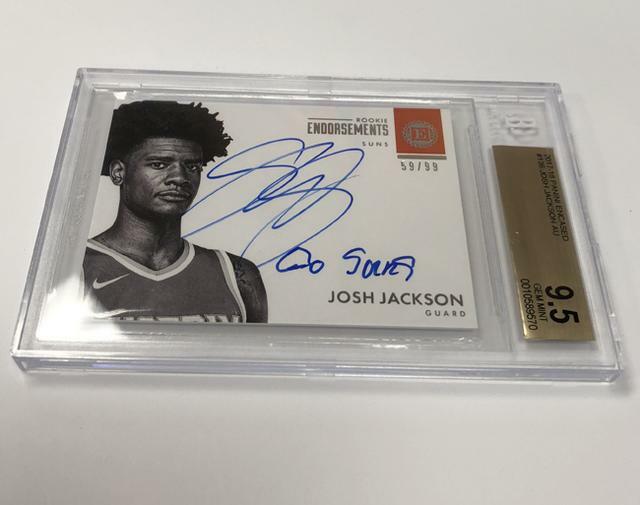 Dernière modification par Eyeshield21 le 13 mars 2019, 10:37, modifié 26 fois. 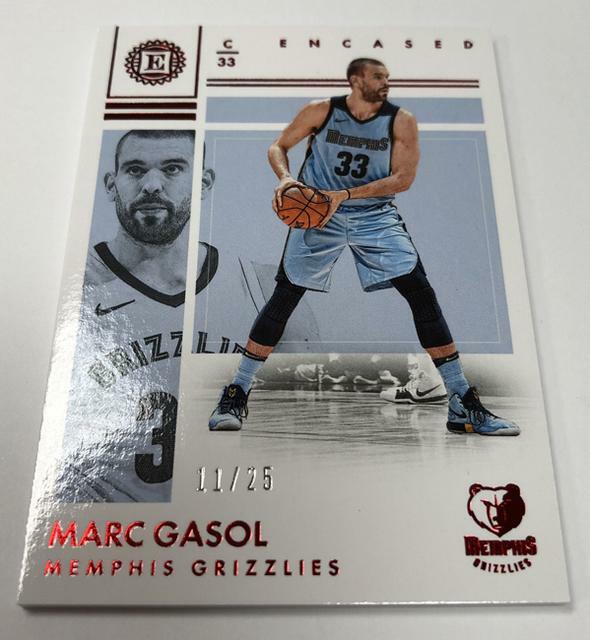 Ca semble très sympa ! 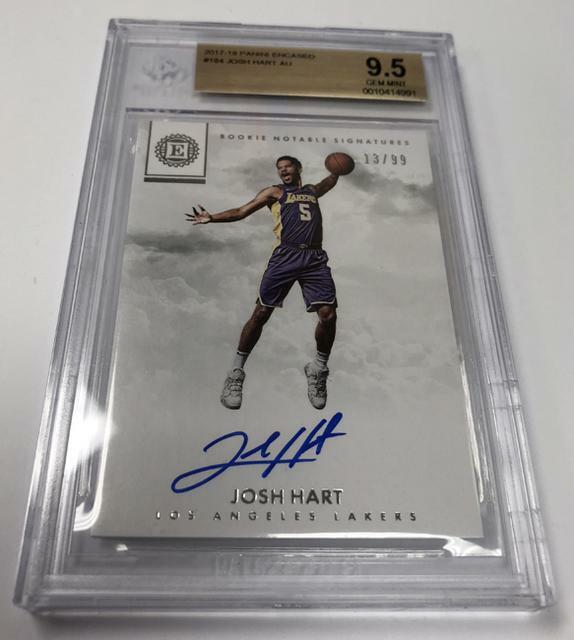 J'aime beaucoup ! 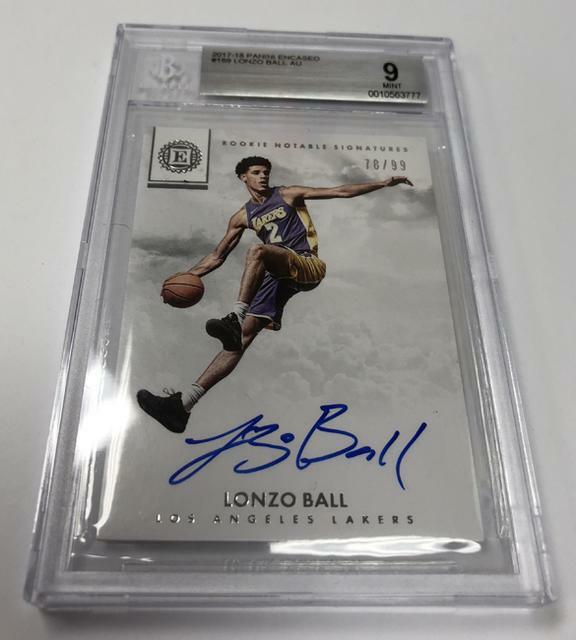 Ca va tourner autour des 200$ la box. 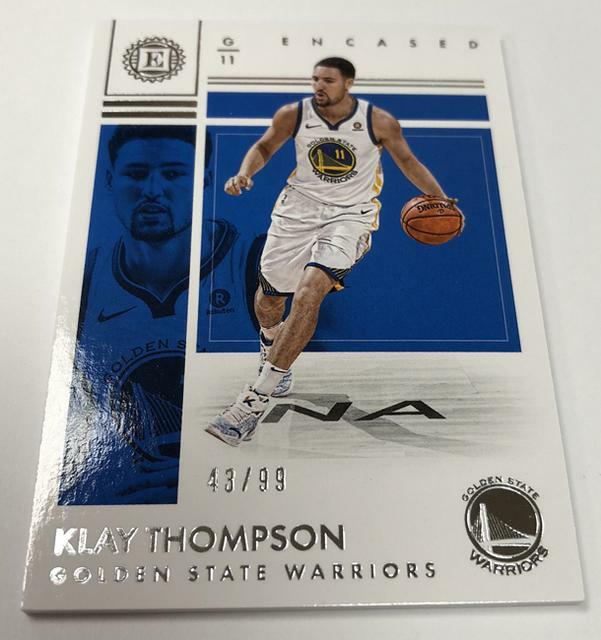 and a base or parallel card. 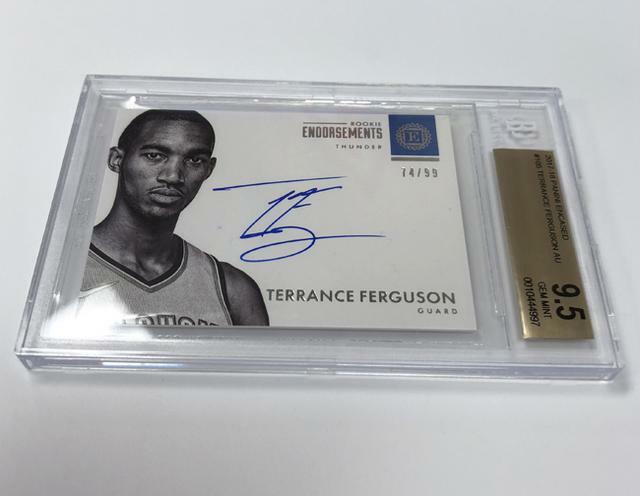 a different-by-design kind of feel and makes for a compelling two-pronged ripping approach. 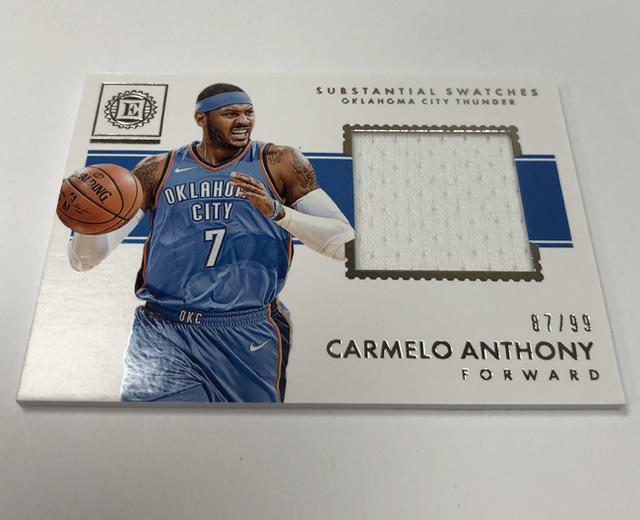 with a revealing Quality Control Gallery. 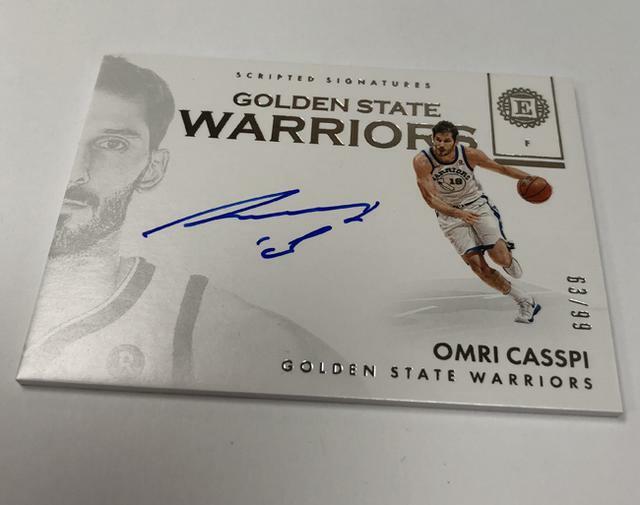 by card through some early boxes. 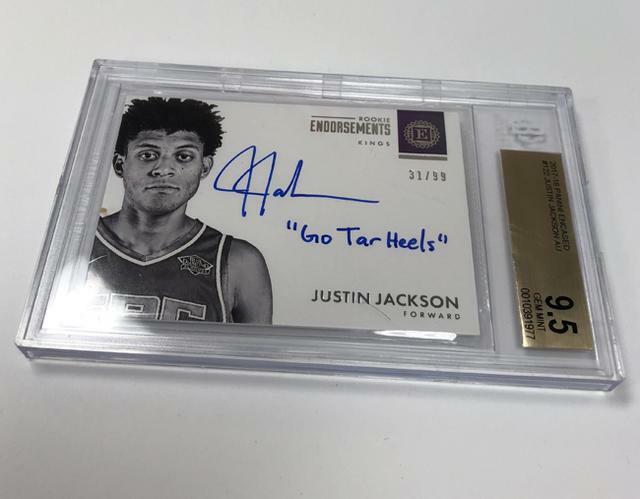 Dernière modification par Eyeshield21 le 13 mars 2019, 11:46, modifié 1 fois. 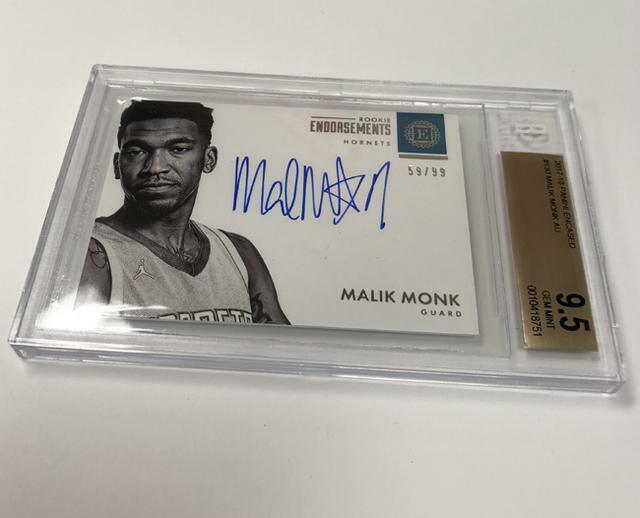 Dernière modification par Eyeshield21 le 16 mars 2019, 10:01, modifié 9 fois. 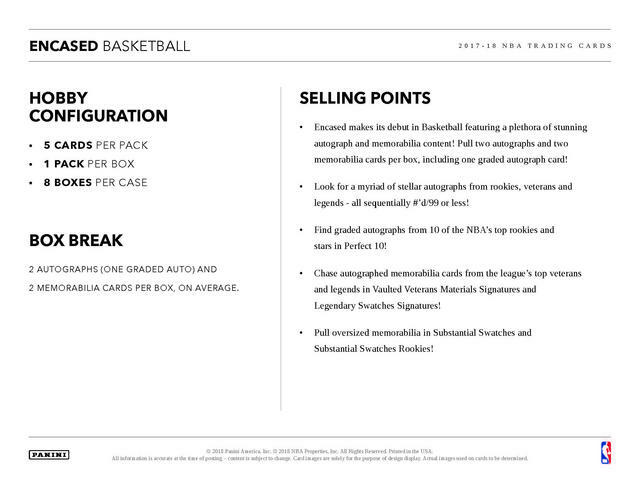 Encased checklist is up so here is the Set Analysis. 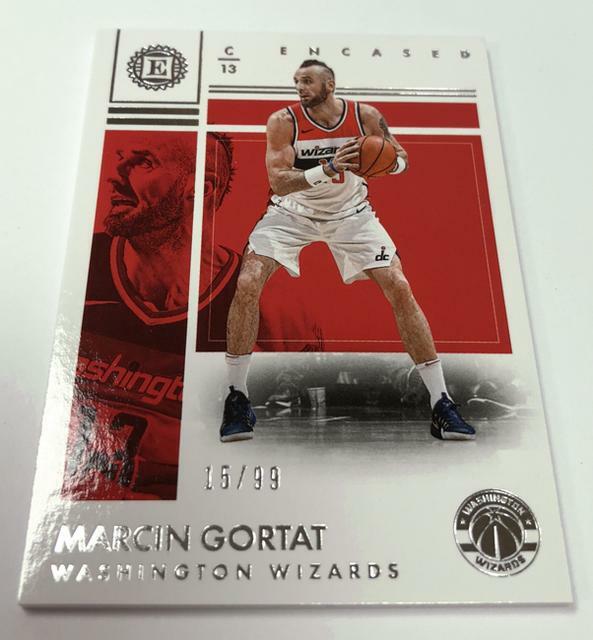 - Wizards have ZERO (0) Autograph!! 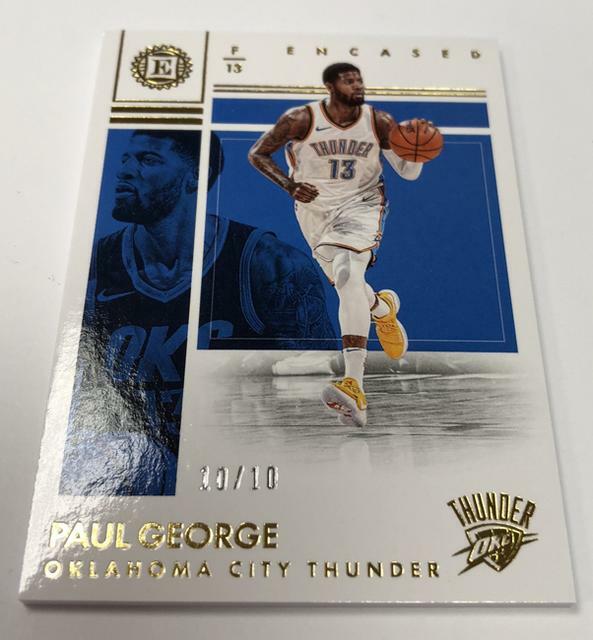 to 2017-18 Panini Encased . 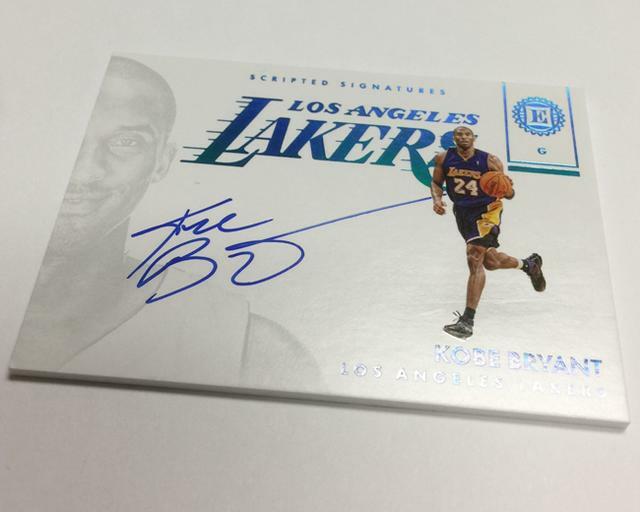 delivers one BGS autograph in each five-card box. 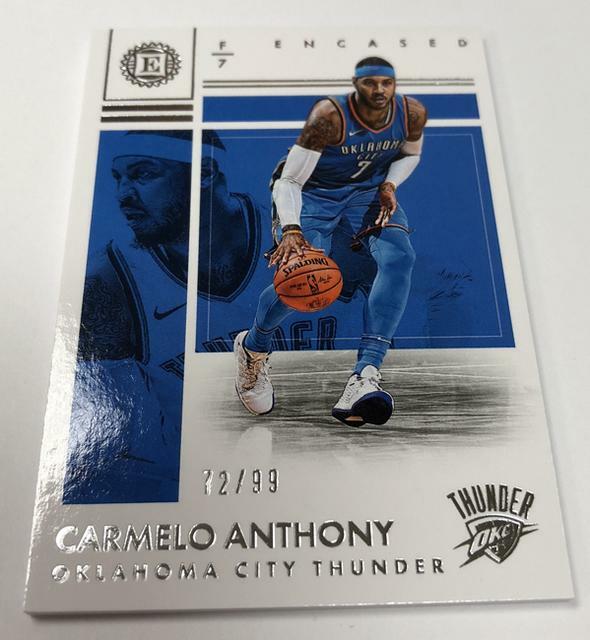 and one base or parallel card. 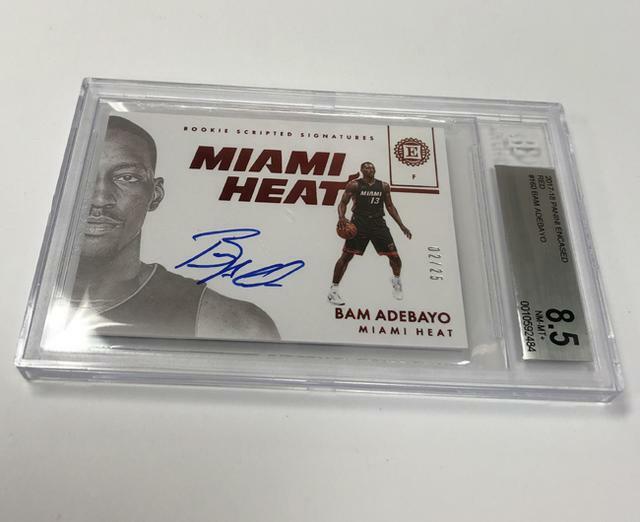 just some of the goods that surfaced during the recent packout process. 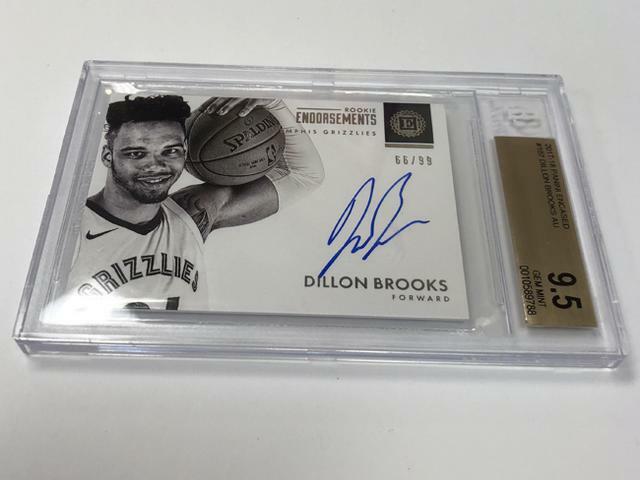 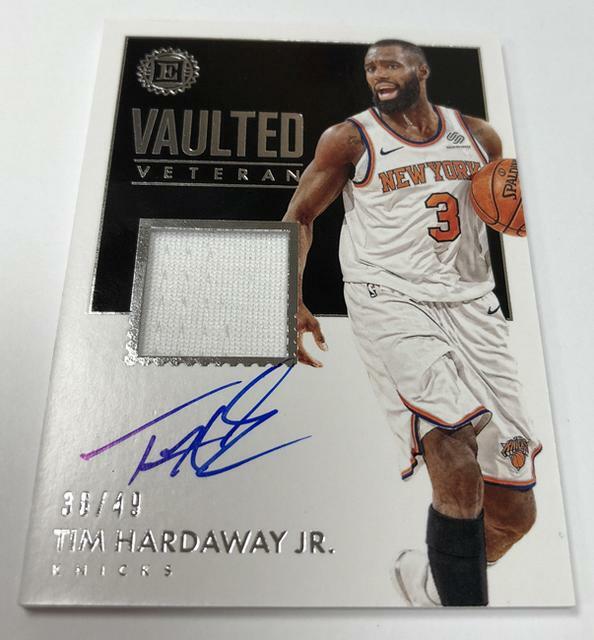 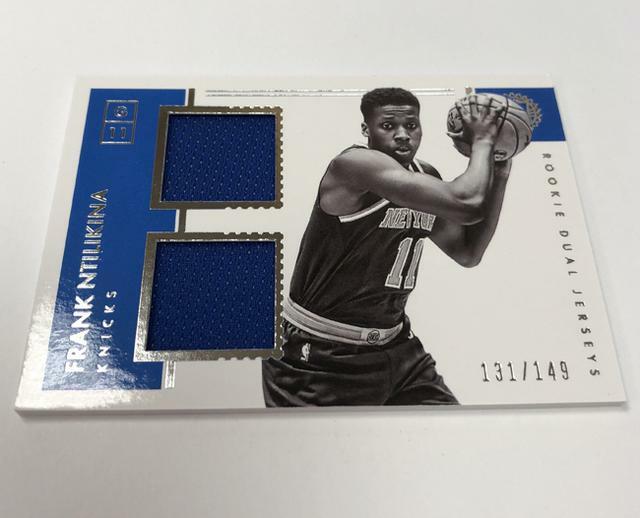 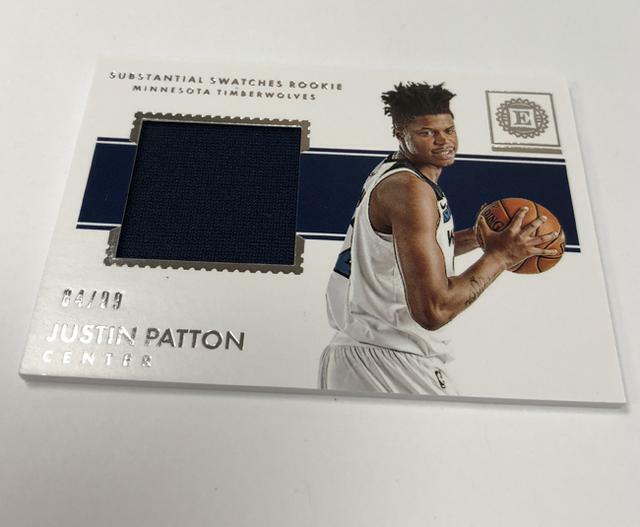 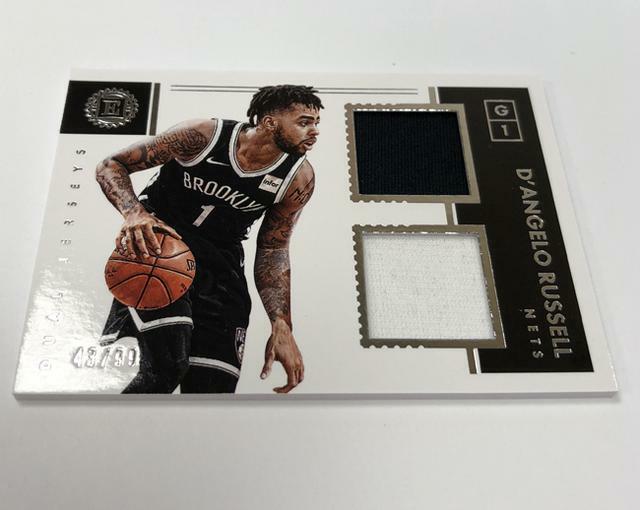 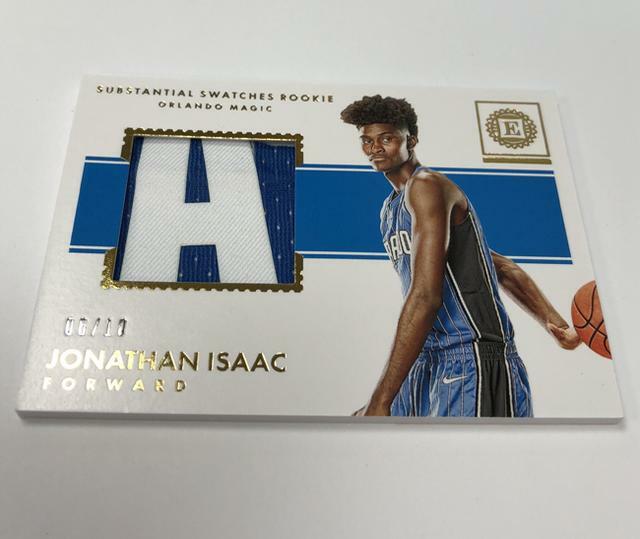 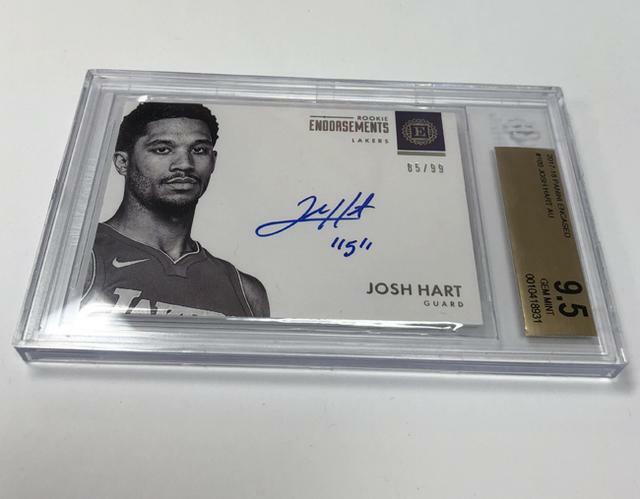 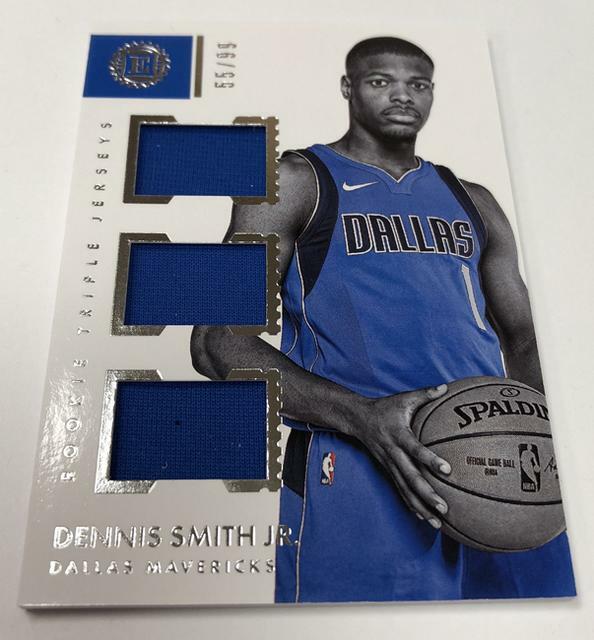 2017-18 Panini Encased Vaulted Veteran Jerseys Autographs #36/49 TIM HARDAWAY JR.
2017-18 Panini Encased Rookie Triple Jerseys #55/99 DENNIS SMITH JR.
Dernière modification par Eyeshield21 le 13 mars 2019, 11:46, modifié 2 fois. 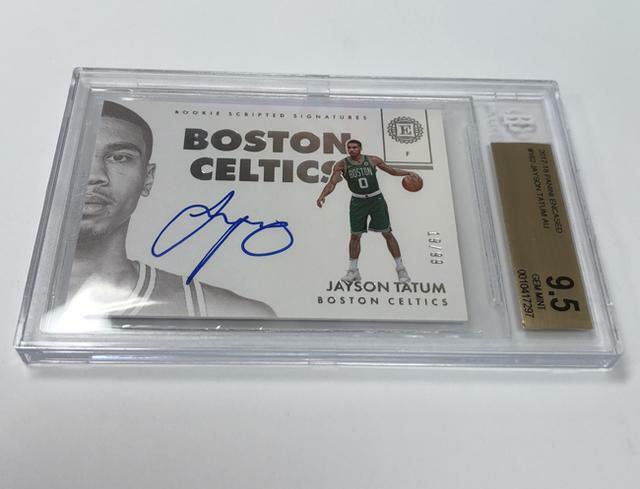 Panini + BGS = le fléau du 21ème siècle !